In the following infographic, we break down 105 different foods and explain whether your dog can eat them or not. We also have complete descriptions of each food type and what specifically makes that food good or bad for dogs in the section following the graphic. To share this image, please scroll to the very bottom of the page and copy/paste the embed code. If after viewing the above infographic you are looking for more information about a particular food like what makes it safe or unsafe for dogs to eat, we've got you covered! The list below contains a description of each of the foods mentioned in the infographic, and explains in greater detail whether they are dog-safe or not. Of course, the best way to know for sure whether a food is safe is to ASK YOUR VET! Please use the information on this page as a starting point, but confirm any information with a professional. 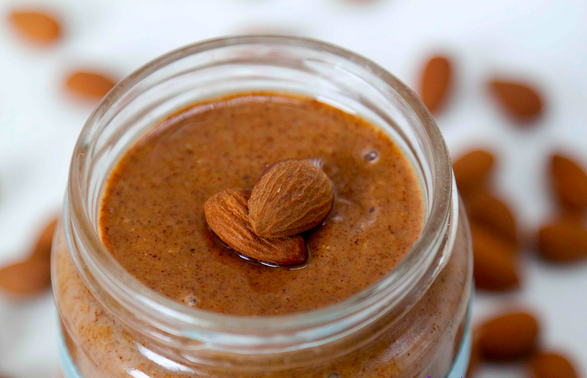 Almond butter can be a fun, healthy alternative to peanut butter. Owners with dogs who love peanut butter, but are wary of the high fat content and processed ingredients, often opt for almond butter as a tasty treat for their pup. Almond butter features a 14% fat content compared to peanut butter’s 50%, and has a higher concentration of vitamins and minerals, especially vitamin E. Natural almond butters are abundant, but slightly more costly than your average peanut butter. Salt content should also be monitored, as high sodium levels in dogs can lead to sodium ion toxicosis. While not toxic, almonds can cause several digestion problems for your dog. Almonds are absolutely one of the healthiest foods for humans, but dogs simply do not process them well unless they are already broken down, like in almond butter. The consumption of almond nuts in canines often leads to upset stomachs and cases of vomiting or diarrhea. The salts that coat flavored almonds can also pose a risk to your dog, with high salt intake leading to sodium ion toxicosis. If your dog consumes almonds it is most likely not in any imminent danger, but should be monitored closely for signs of intestinal distress. Can Dogs Eat Apples? Yes! Apples can be a great treat skin on or off, just be sure to remove the core. One of the healthiest snacks for dogs and humans, apples can be safely served with the skin, and dogs love the crunch! 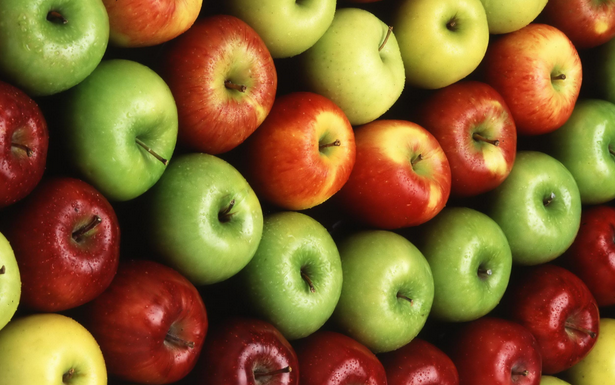 Apples are an excellent source of fiber, vitamins A and C, and a multitude of other vitamins and minerals. We always recommend buying organic in order to avoid feeding your dog harmful pesticides. The core should also be removed before consumption, as it poses a choking hazard and the seeds contain trace amounts of cyanide. While still a healthy, easy to eat treat, not just any applesauce should be fed to your dog. 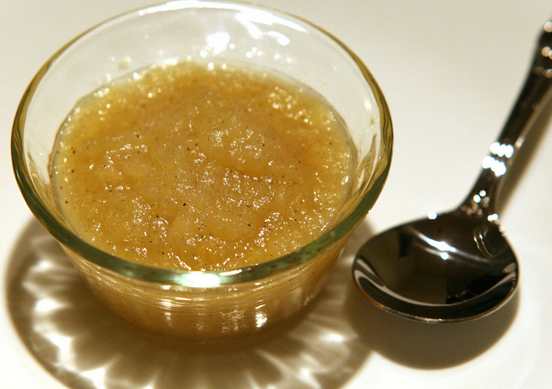 Applesauce provides all the nutrition of an apple, in an easy to eat form with virtually no choking hazards. The only downfall is that the majority of commercially available applesauce is packed with sugar or sugar substitutes that can cause upset stomach or diarrhea. Organic, sugar free applesauce should be the only type served to your dog. The best way to ensure that all colorings, preservatives and pesticides are avoided is to make your own homemade applesauce. It’s easy, and only takes about 30 minutes. Can Dogs Eat Asparagus? Yes! One of the world’s healthiest foods, asparagus makes a nutritious dog treat. 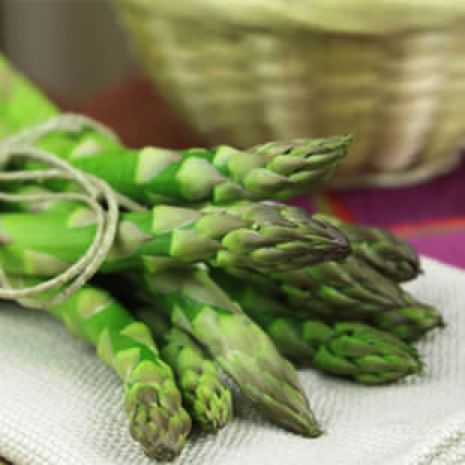 Asparagus are packed with nutrients and can be enjoyed by your dog raw, or lightly sautéed. Its complete profile of vitamin and minerals will promote healthy skin and teeth, as well as immune and organ function. Packed with fiber, asparagus is a hearty snack that attributes to digestive health. If you are a home-grower, be aware that the asparagus ferns on the plant are toxic to dogs, and call your veterinarian immediately if ingested by your dog. Don’t be alarmed if your dog’s urine has a unique odor after it eats asparagus, the same thing happens with humans and it’s completely natural. Can Dogs Eat Avocados? Yes! Despite dated theories that avocados are toxic to cats and dogs, they are completely safe for consumption. Avocados contain persin, an oil-soluble toxin long known to be toxic in birds, horses, and cattle. Veterinarians prefer a rather safe than sorry approach, and assumed that avocados would also be poisonous to dogs and cats. 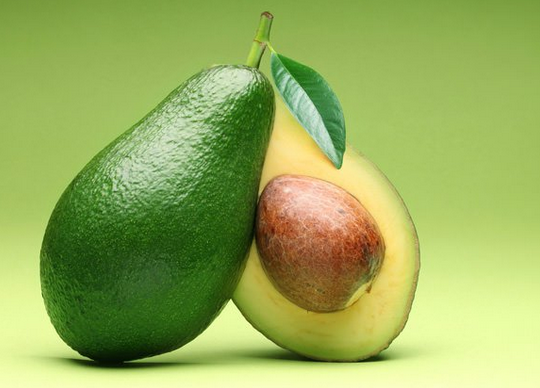 Recent discoveries have shown that dogs and cats are actually not affected by persin, meaning avocados are not only safe to eat, but also a healthy snack. Avocados high quantities of potassium, fiber, and healthy fats make it a nutrient dense, hearty treat. The central pit should never be accessible to your dog, as it can cause serious choking or intestinal blockage issues. 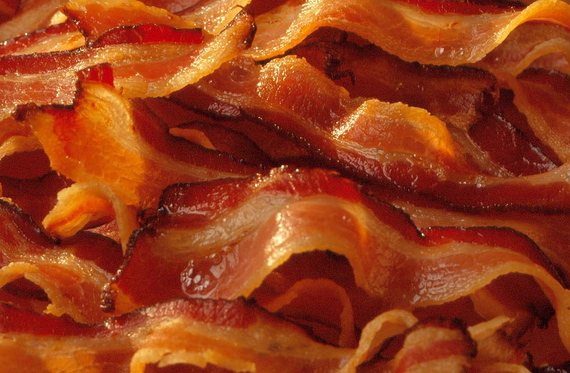 The canine consumption of high fat foods like bacon can lead to pancreatitis. While dogs demand a diet rich in meat, and crave the taste of it, not all meats we eat should be fed to our dogs as well. This is especially true with all meats that have a high fat or salt content. Allowing your dog to digest large amounts of fat can lead to pancreatitis, an often-fatal condition that causes problems with digestion and nutrient absorption Another potentially fatal condition, bloat, has been reported in large dogs who drink too much water due to bacon’s immense salt content. Bananas are tasty and healthy, but should be fed in moderation due to their high sugar content. While many dogs enjoy sweet flavors, their systems simply aren’t meant to process sugars like human’s are. 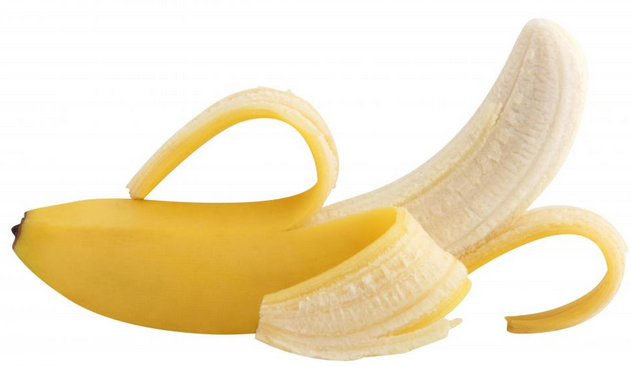 Even foods high in healthy, natural sugars like bananas can cause constipation after moderate amounts of consumption. High in potassium, vitamin C, and other antioxidants, banana treats will help promote proper immune function and prevention of future diseases. Bananas are best served as thin, bite-sized slices in order to avoid choking hazards, and the peels should never be eaten. Can Dogs Eat Beans? Yes! 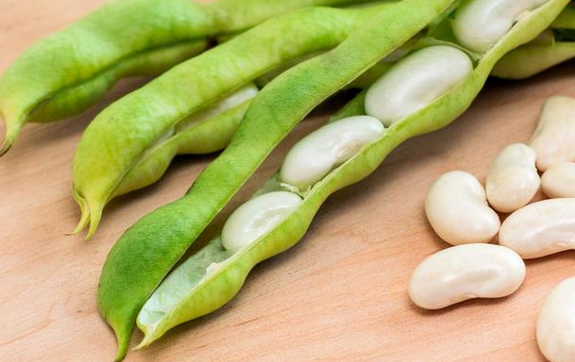 Several types of beans, such as green, black or white are safe and nutritious. Beans should always be served cooked, as some raw beans contain harmful toxins, and raw vegetables are typically more difficult for dogs to digest. Black beans, soybeans, and garbanzo beans all provide excellent sources of natural fibers that help regulate digestive functions and battle diabetes. Beans’ complex proteins and minerals attribute to healthy immune function and fat burning. While beans are high in protein, dogs still require meat proteinsto attain necessary amino acids, so beans cannot substitute meat in a dog’s diet as is seen in many human diets. 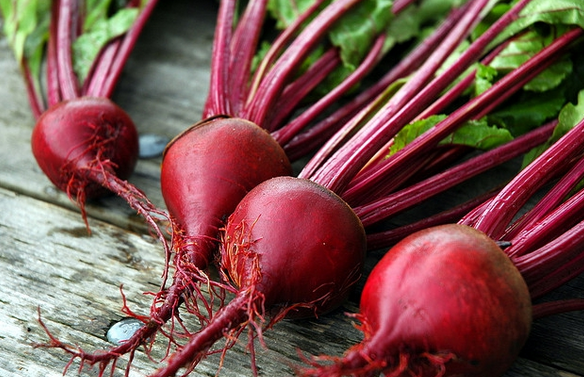 Beets are an excellent source of fiber and beet pulp is a common dog food ingredient. Beet pulp is often seen listed in a dog food’s ingredients, due to it being cheap, readily available, and exceptionally high in fiber. The same is true for fresh beets, which can be served as a nutritious treat to your pup. Beets’ high quantities of insoluble fiber can lead to healthier stools, as well as promote colon health. Only fresh, organic beets should be served to your dog. Canned beets are usually loaded with salt and preservatives that can cause serious digestive issues in dogs. Can Dogs Eat Bell Peppers? Yes! Red, yellow or green, your dog will love the crunch of these sweet peppers. 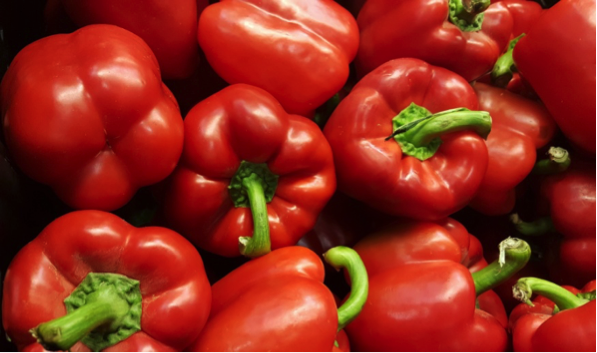 Bell peppers are a perfectly safe and healthy snack.They provide a variety of nutrients,and their strong smell and taste make them extremely palatable to dogs. Bell peppers, especially red ones, are excellent sources of beta-carotene and fiber.They are also rich in vitamins C and A, along with several other antioxidants that will promote overall health in your dog. They can be enjoyed raw or slightly sautéed, but the seeds pose a choking hazard and should always be removed. A simple recipe is to simply cut the bell peppers into slices. (See if dogs can eat red peppers here). Cooked black beans make for a hearty, easy to digest treat. 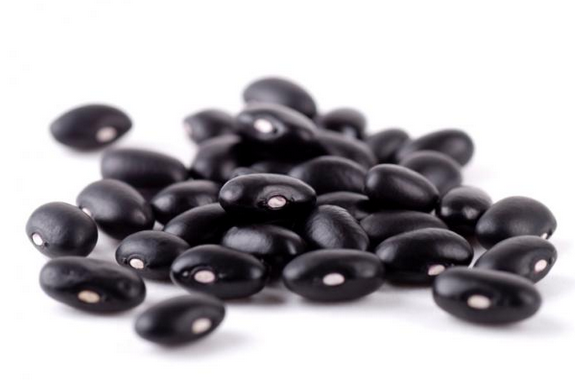 Provided they are cooked, black beans are an excellent source of plant-based protein, natural fibers, as well as many other vitamins and minerals. Dried black beans are recommended over canned ones. They are cheaper and free of the added salt and preservatives in canned goods. Black beans can be served alone as a treat, with rice, or mixed into your dog’s food. Just keep in mind that although black beans are high in protein, dogs’ systems require meat-based protein to survive and thrive. A “superfood” for humans, blueberries are a tasty, convenient treat for dogs as well. Rich in antioxidants, vitamins, and minerals; blueberries provide a myriad of health benefits. They are conveniently bite-sized and their natural sugar provides a sweet taste dogs love. 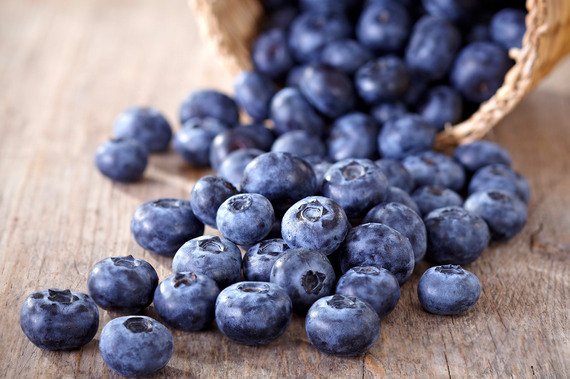 Blueberries’ many antioxidants, including selenium battle free radicals that damage cells and can even cause cancer. The fruits’ complete mineral and vitamin profile will promote overall wellbeing in your dog, and recent studies have even shown their ability to improve cognitive function. Like all treats, moderation is key. Two or three blueberries make an excellent snack. Try frozen blueberries for a cool summer treat! Can Dogs Eat Bread? Yes! Dogs can eat and digest bread safely, but the food provides little nutritional value. A staple in human diets, bread is not the healthiest food for your dog. 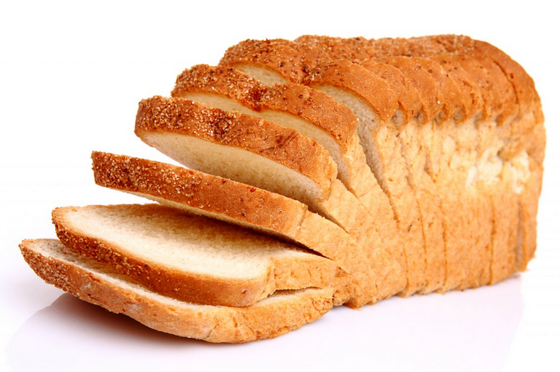 Bread contains few of the vitamins, minerals, and proteins that your dog requires. Some dog owners do like to use a slice of bread as an occasional treat or vehicle for a pill, but regular consumption of the unnecessary sugars, calories and carbs can lead to weight gain. Before giving your dog any bread, assure that it is not intolerant to gluten. Homemade bread will certainly be healthier for your pup, but never allow your dog to eat any raw dough. The yeast has a tendency to rise in the animal’s stomach and can cause serious complications. 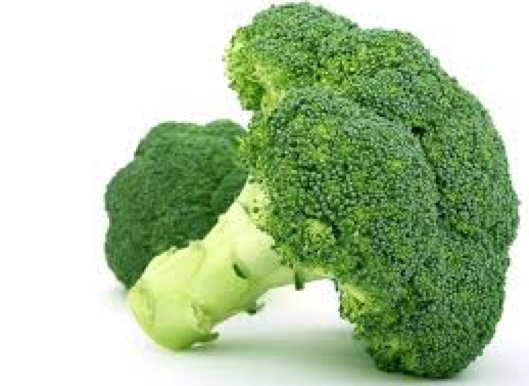 While still a healthy, crunchy treat, in excess broccoli can lead to an upset stomach. Broccoli is an excellent source vitamins and minerals, and contains a crunch that dogs love. It is exceptionally high in vitamin C, and low in fat and cholesterol. Unfortunately, broccoli florets contain isothiocyanates, which after a moderate amount of consumption can cause potentially severe gastric distress in your dog. As such, your dog’s broccoli consumption is recommended not to exceed 5% of its daily calorie intake. Brocoli stalks can also be a choking hazard if your dog has a tendency not to chew its food, so you may want to chop them into bite-size pieces before serving. Can Dogs Eat Brown Rice? Yes! A featured ingredient in many high-quality dog foods, brown rice is a healthy, easy to digest food for dogs. With grain-free diets gaining popularity, many people wonder if dogs can eat an ingredient featured in many premium foods: brown rice. Unless your dog has gluten or grain intolerance, brown rice is an excellent carbohydrate source. 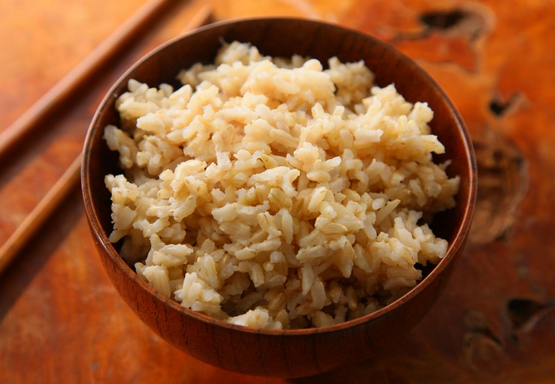 Brown rice is high in fiber, low in fat, and processed much less than white rice. The rice also features antioxidant and minerals that assist with weight loss and healthy blood sugar levels. 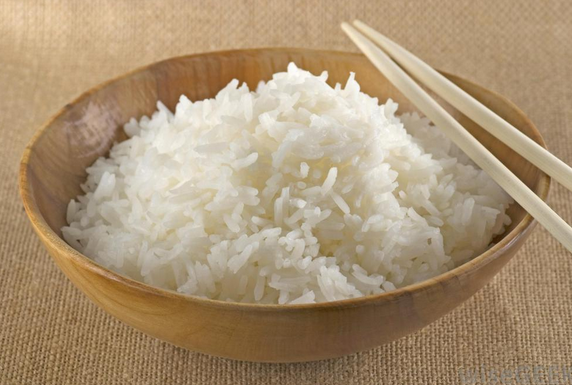 Rice, a bland meal, has long been used as a natural remedy for upset stomachs. Can Dogs Eat Carrots? Yes! Carrots can be a great snack with a sweet, tasty crunch that dogs love, but must be prepared for your dog to enjoy its nutritional benefits. 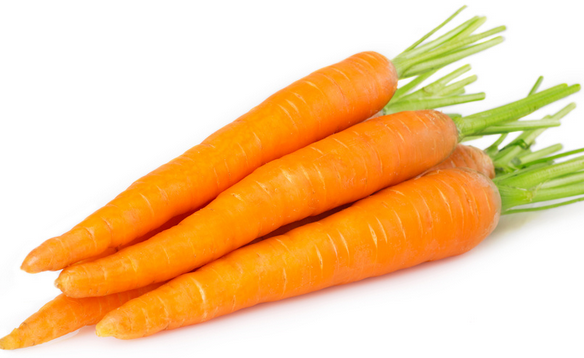 Carrots are low in calories and fat, and feature an impressive amount of vitamin A to promote vision health. This makes them an excellent treat for elderly or overweight dogs. Raw carrots can promote dental health by acting as a natural tool to scrape away plaque buildup while chewing, but your dog won’t gain the vegetable’s nutritional benefits until the cellulose that surrounds each cell is broken down. The nutrients can be made accessible by pureeing the carrots or cooking them lightly before serving. Be aware of carrots’ high natural sugar content. While not unhealthy for your dog, a moderate amount of consumption could cause an upset stomach. Several nuts are toxic to dogs, and it is always wise to do some research before feeding them to your dogs. Cashews are not among the nuts toxic to dogs, provided they are cooked thoroughly. Cashews are a good source of fiber, healthy omega-3 fatty acids, as well as other vitamins and minerals. 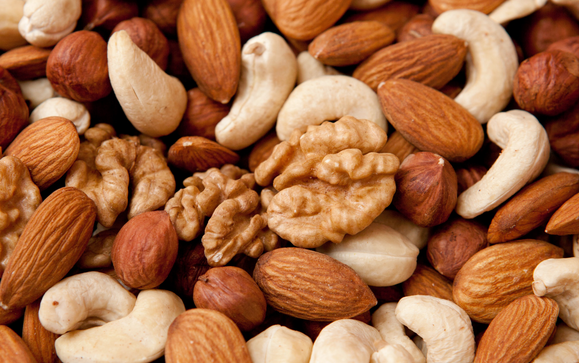 Adversely the nuts are high in salt, fat and calories, and are therefore not recommended for regular consumption. 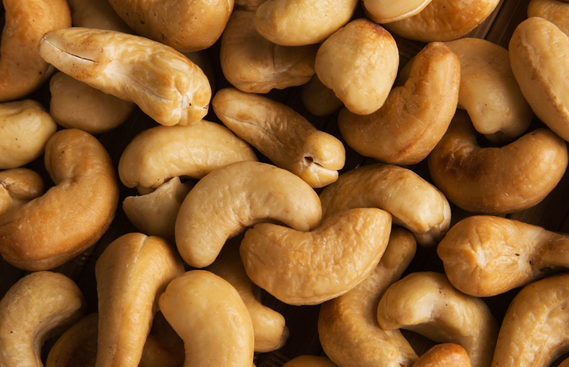 Cashews are also high in phosphorus, which, after repeated exposure, can increase the chance of bladder stones. However, the occasional snack of cashews can be a perfectly safe, and even beneficial treat for your dog. 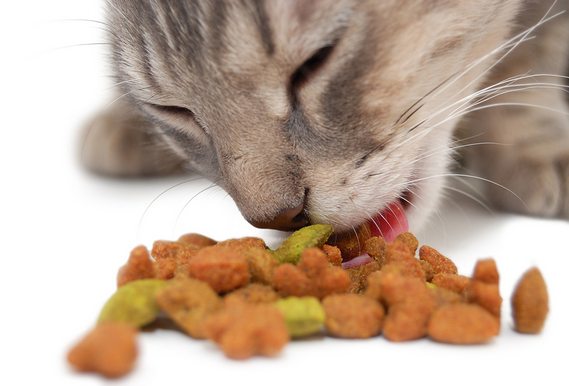 While not toxic to your dog, cat food is likely to cause an upset stomach. All dogs seem to love cat food, and pet owners often wonder if their dog is going to be okay after raiding the cat’s bowl. The good news is that there should never be anything poisonous to a dog in cat food. The bad news is that cat food is tailored for a cat’s digestive system, not a dog’s, and therefore has the tendency to cause an upset stomach, vomiting, or diarrhea, especially in dogs with sensitive stomachs. Due to cats being strictly carnivorous, cat foods feature a higher protein percentage, and also a fair amount of fat. Excess protein and fat consumption in addition to a dog’s own diet also increases the risk of weight gain and pancreatitis. Can Dogs Eat Celery? Yes! 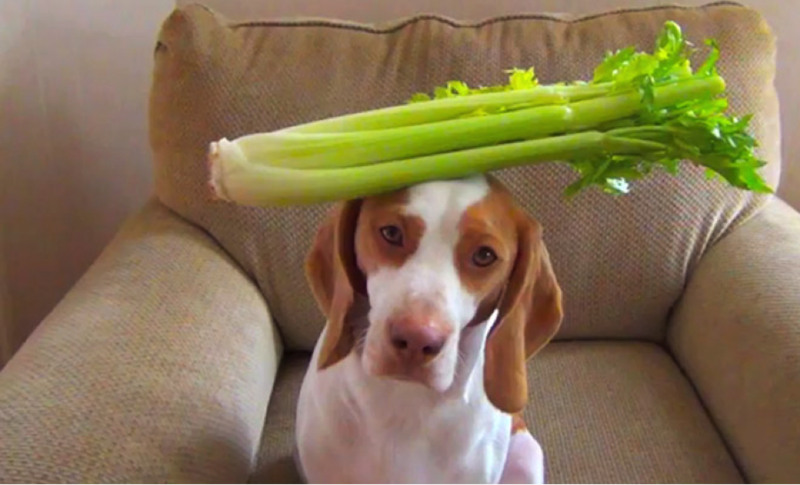 Celery is one of the healthiest, low calorie treats available for your dog. With zero cholesterol, minimal calories, no fat, and tons of fiber, celery is a staple for heart health in humans and canines alike. The veggie has even been shown to single handedly reduce blood pressure. Celery features exceptional amounts of potassium and vitamin C, which along with it’s complete profile of vitamins and minerals will assist in the health of your dog’s vital organs as well as its skin, teeth, and fur. Your dog will best enjoy celery after all roughage is removed and a thorough washing. Fresh, organic celery will provide the most nutrients to your dog, as pre-packaged or frozen vegetables are stripped of their nutritional value. Although high in fat and cholesterol, there is nothing wrong with the occasional cheese treat. Dogs generally love cheese, and as long as they are healthy and not lactose intolerant, there is no reason not to allow your dog an occasional treat of cheese. It is recommended that all treats, especially unhealthy ones, should be kept below 10% of your dog’s daily calorie intake. 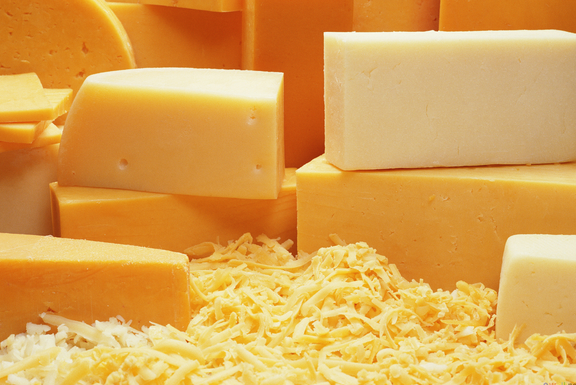 With cheese being exceptionally high in calories, the quantity fed should be monitored closely. When deciding what type of cheese to give your dog, low or reduced fat varieties are wiser options. Celebrity dog trainer Cesar Millan suggests cottage cheese. Can Dogs Eat Chocolate? No! 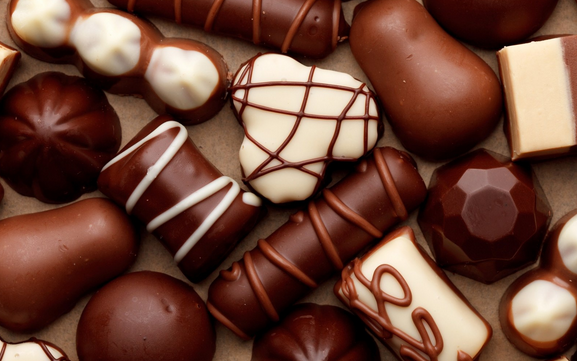 All chocolates, but especially dark, bitter chocolates are highly toxic to dogs. A favored delicacy for humans, chocolate can prove lethal to dogs. Caffeine and theobromine, ingredients abundant in chocolate, are methylxanthines that dogs are not able to process. Moderate consumption of methylxanthines in dogs can lead to minor symptoms such as vomiting or diarrhea, while a considerate amount can lead to seizures, cardiac failure, and coma. Methylxanthine levels vary from chocolate to chocolate, but are often more abundant in dark bitter chocolates, as opposed to milk chocolates. Cinnamon is non-toxic to dogs, but is an unnecessary addition to their diet. Cinnamon is listed as non-toxic by the ASPCA, and can even provide a few benefits for your dogs. Cinnamon is often sprinkled over food to increase its palatability, and is hailed by some circles for its natural healing abilities. Regardless, cinnamon’s nutritional value to your dog is minimal, and regularly including it in your dog’s diet seems unnecessary. 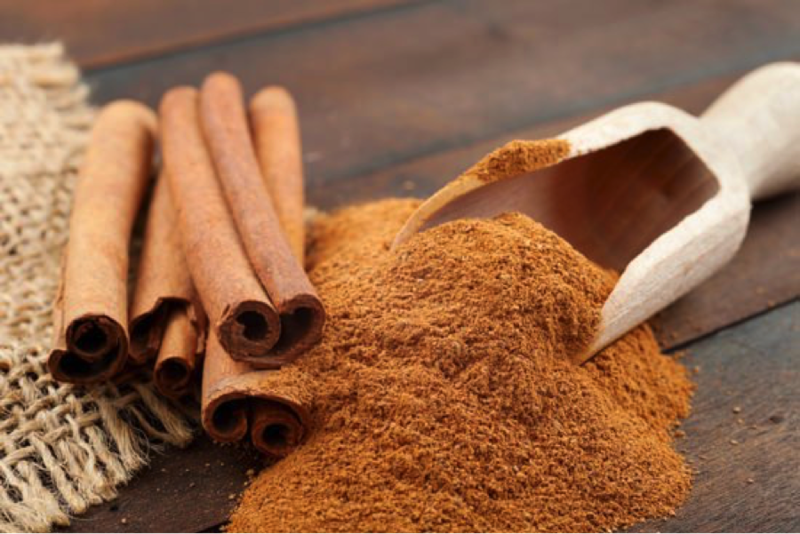 It is important to note that excessive cinnamon consumption in dogs over a short period of time can cause reactions similar to those of humans attempting the “cinnamon challenge.” Cinnamon oils and other cinnamon scented household objects should never be accessible to your dog. 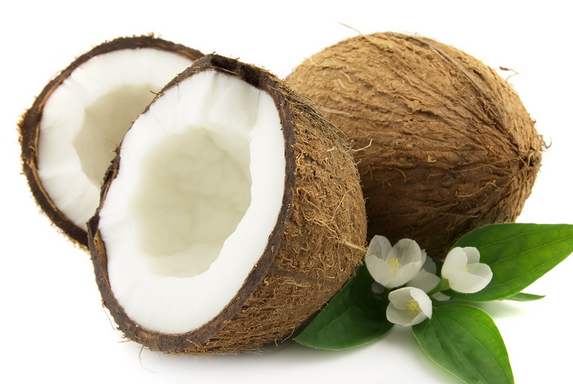 Coconuts offer unique, beneficial fatty acids not apparent in other foods. Coconuts are primarily made up of Lauric acid, a fatty acid chain that’s only other natural source is human breast milk. After synthesizing in your dog’s body the substance helps fight viruses, ward off infections, and boost your dog’s immune system. Coconut oil is also commonly administered to dogs due to its density of fatty acids and oils that can assist with digestion, skin conditions, immune health, and metabolic function. These same fatty chains and oils can lead to loose stools in some dogs. Avoid messes by introducing the food slowly, and monitoring your dog afterwards. Can Dogs Eat Corn? Yes, but not the cob! Cooked corn kernels are a fine treat, but corncobs should be avoided. Corn is commonly found in commercial dog foods as a top ingredient. Due to this, pet owners are often led to believe corn is a nutritious and beneficial food for their dogs. 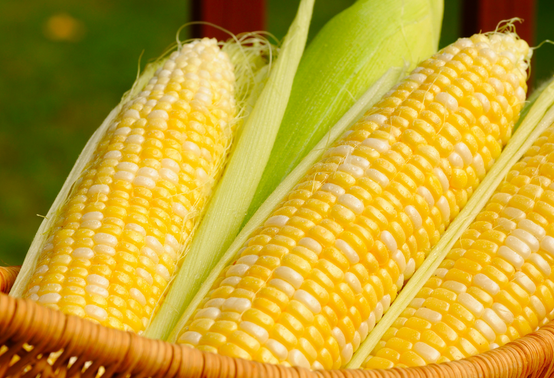 Unfortunately, corn is included so frequently due to its inexpensive nature, not because of its health benefits. However, cooked corn kernels are undoubtedly of a higher quality than the processed corn meal used in dog food, and will offer higher nutritional value. Be aware that canine consumption of corncobs is extremely dangerous, as even a small amount of the cob can cause intestinal blockages that require emergency surgery to repair. Can Dogs Eat Cucumbers? Yes! Fresh cucumbers are an excellent treat, especially for dogs struggling with weight gain. Cucumbers are listed as non-toxic dogs, cats, and horses by the ASPCA. The veggie offers a refreshing crunch that makes it an exceptional treat for a hot summer day. Cucumbers contain considerable amounts of vitamins K, C, and B1, as well as potassium, magnesium, and biotin. 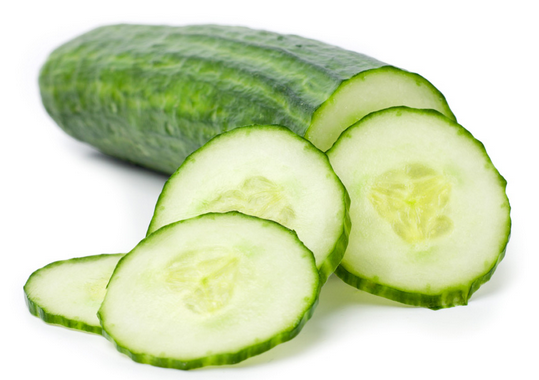 With next to no carbs, fats, or oils, cucumbers provide nutrition without packing on pounds. The veggie is also loaded with phytochemicals that kill odorous bacteria, effectively eliminating doggy breath. Opt for fresh, organic cucumber to provide your dog with the most nutrition. Dates are safe for dogs to enjoy, however too many may cause diarrhea. Like most fruits, dogs tend to love the sweet flavor dates offer. Luckily, dates are non-toxic and completely safe to share with your furry companion! Dates are rich in vitamins, minerals and fiber, and low in fat and cholesterol, making them a healthy treat for your dog. However, it is important to keep in mind that dates are around 80 percent sugars, so even a moderate amount of dates could cause intestinal discomfort or diarrhea. 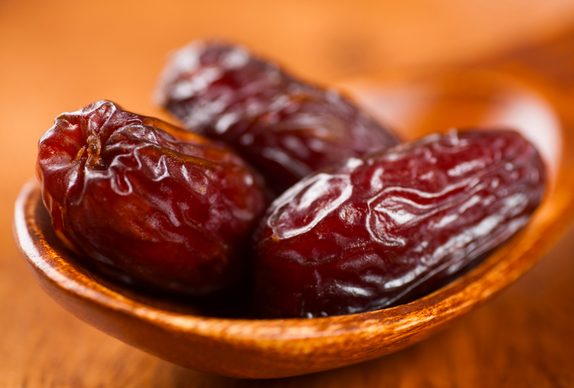 While dates’ pits, unlike those in many other fruits, are not toxic, they still pose a serious choking hazard and should always be removed before feeding dates to your dog. Can Dogs Eat Edamame? Yes! Edamame, or ripe soybeans are perfectly safe for your dog to eat. 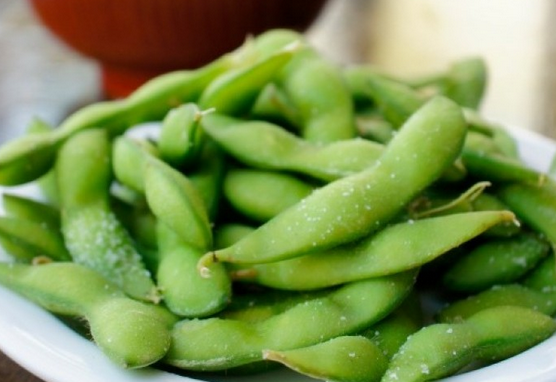 Edamame, being soy, is a great source of protein and fiber, as well as several other vitamins and minerals. The beans are non-toxic to dogs and pose no known health risks. It is important to note than edamame beans are often covered with flavored salts that are not healthy for your dog to consume. Always serve unsalted edamame treats to your dog. Fresh edamame is usually boiled before being enjoyed, and the soft beans will be very easy for your dog to eat. They are small, so be aware of the possible choking hazard to dogs not prone to chewing thoroughly. While completely safe for most, some dogs are allergic to eggplant. Being high in fiber, calcium and iron, but low in fat and calories, eggplant makes for a hardy, healthy treat that your dog will love. 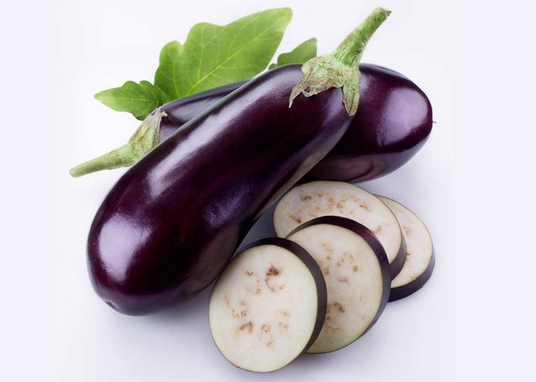 However, eggplant is a known canine allergen, so take caution when feeding it to your dog for the first time. Eggplant is best enjoyed plain, but cooked thoroughly. Salts or seasonings that often accompany eggplant could pose risks to your dog. If you grow own eggplant, is important to be aware that the leaves can be fatally toxic to dogs. Symptoms range from abdominal pain and diarrhea, to convulsions, collapse and even death. Can Dogs Eat Eggs? Yes! 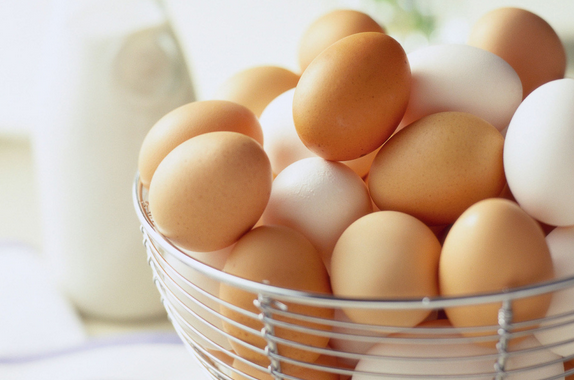 An excellent protein supplement, eggs are one of the most nutritious foods available to dogs. Eggs have been a staple food in wild dogs’ diets for hundreds of years, and can be in yours, too. The animal-proteins in eggs provide all the necessary amino acids your dog requires to survive and thrive. Even the eggshells can be fed to your dog, as bite size treats or ground then added to kibble, as an excellent source of calcium and protein. Raw eggs are typically not recommended for canine consumption, simply to reduce risk of salmonella or other diseases. 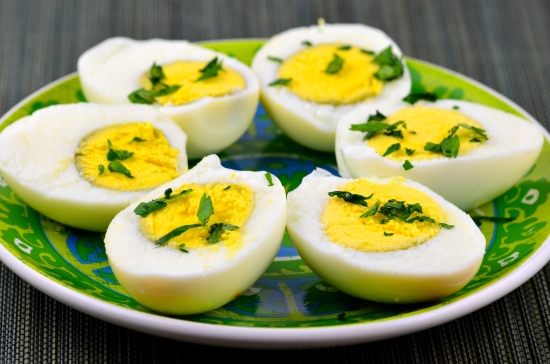 Hardboiled eggs can be given as bite-size treats, added to kibble, or even whole with the shell on! 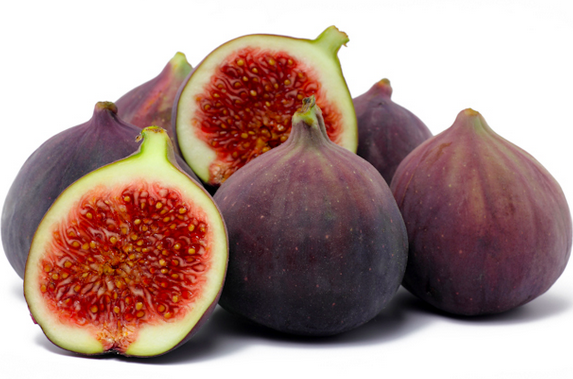 Although safe in limited quantities, figs’ natural sugars may cause intestinal discomfort. Similar to dates, figs are a sweet, nutritious fruit high in vitamins and natural sugars. Dogs do not typically digest sugar as well as humans, so even a moderate amount of figs could cause an upset stomach or diarrhea. While most dogs do not have a negative reaction, figs have been cited as an allergen for some dogs, so caution should be taken when feeding them to your dog. The ficus plant upon which figs grow is known to be toxic to dogs, and contact as well as consumption of the plant by canines should be avoided. Can Dogs Eat Fish? Yes! Fish provides healthy oils and proteins your dog requires (Salmon should always be cooked). The featured protein in many high quality dog foods, fish is not only safe for dogs to eat, but the meat can very well provide the foundation for a complete, nutritious diet. Fish provide all the proteins dogs require, as well as healthy fatty acids that will promote healthy skin and coat. Fresh fish can be served as a treat, or added to kibble as a supplement. Fish alone cannot replace a kibble, as dogs still require other vitamins and minerals to survive. Raw fish is not recommended for dogs, simply to reduce risk of disease, and to be safe rather than sorry. Dogs can enjoy and receive health benefits from a variety of fruits. Some of the healthiest foods for humans, most fruits are completely safe, and a nutritious, sweet treat for dogs. High in nutrients and low in fats and calories, fruits are excellent treats for health conscious pet owners. They are best served in moderation, as consuming a large quantity of the natural sugars apparent in fruits can cause an upset stomach and diarrhea. Fruits can be served in a variety of ways, but be aware that most seeds and some skins can pose health risks to your dog. Can Dogs Eat Garlic? No! Even in moderate quantities, garlic can be highly toxic to dogs. The ASPCA,Pet Poison Hotline, and the Veterinary Pet Insurance Company list garlic, along with the entire Allium family of vegetables, as toxic to dogs. The toxicity is caused by the aliphatic sulfides inherent in garlic, which when ingested destroys red blood cells. Repeated consumption can cause irreparable damage and even lead to the possibly lethal condition, hemolytic anemia. 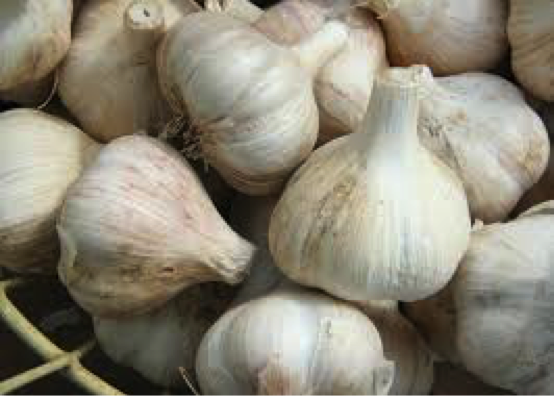 Garlic, even in small amounts, can also cause inflammation of the stomach and intestines, known as gastroentitis. While not lethal, gastroentitis can still cause serious pain for your dog. 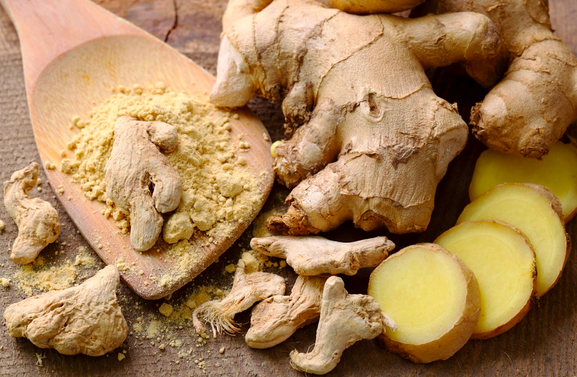 Ginger root is non-toxic to dog and is even hailed as a natural remedy. Ginger has been used as a spice and medicine for humans for thousands of years, most popularly as a digestive aid or cure for nausea.Vets are now claiming the root can have the same beneficial effects for dogs, as well. The root has also been attributed to assisting with a variety of other ailments in dogs, including bloat, arthritis, heartworm, and cancer. Only small amounts of ginger should be given, dependent on your dog’s weight. It can be served as a capsule, powder, tincture, tea, or mixed into your dog’s food. We recommend avoiding the fruit, as essential oils and psoralens present are toxic to dogs. Grapefruit is listed as toxic by the ASPCA to dogs, cats, and horses due to the essential oils and psoralens present in the fruit. Clinical signs include vomiting, diarrhea, depression, and possible photosensitivity. 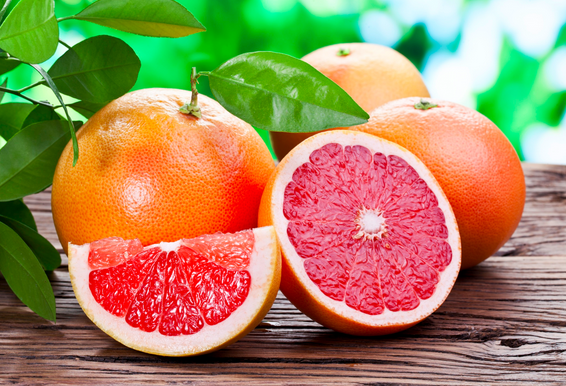 The toxic essential oils are most dense in grapefruit’s skin and pith, but psoralens are abundant throughout the fruit. Fortunately, all the nutrients the fruit provides are available in other, safer foods for your dog. If you believe your dog has ingested a large amount of grapefruit, monitor him or her closely and contact your veterinarian at any sign of toxicity. 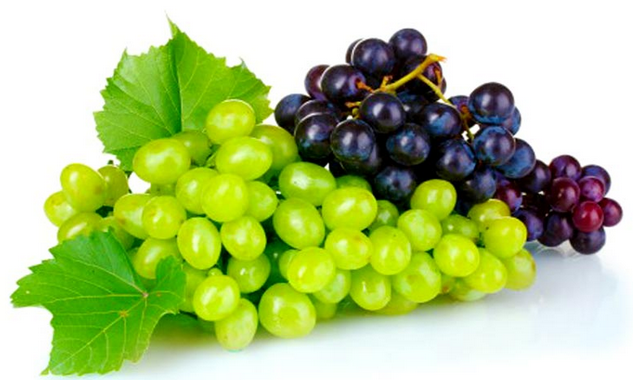 Grapes, along with raisins, can be very toxic to dogs. Although the toxic property in grapes is still unknown, grape and raisin toxicity in dogs has been well documented. Even minute quantities of the fruit have shown the ability to be fatally toxic to dogs. For unknown reasons, ingestion of grapes often leads to acute kidney failure, which can prove lethal without immediate treatment. Other symptoms of grape toxicity are vomiting, diarrhea, lethargy, dehydration, and anuria. If you think your dog has eaten grapes or raisins, contact your veterinarian immediately. Can Dogs Eat Grass? Not recommended, but it isn’t harmful. 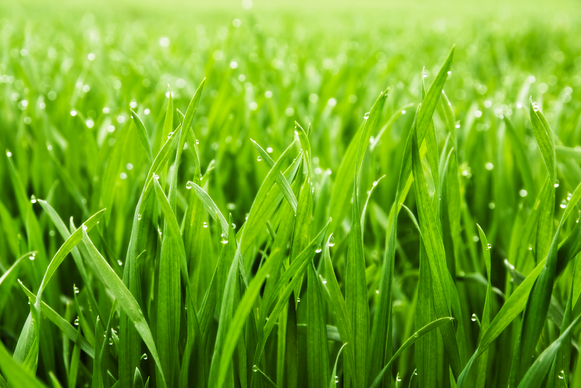 While dogs can’t digest grass, it is not harmful, and they eat it for a variety of reasons. Many dogs dine on grass regularly, to the bewilderment of their owners. Vets are equally confounded by the phenomenon seen in both domestic and wild dogs, with multiple theories on why dogs dine on the inedible plant. Some believe that dogs eat grass to soothe intestinal discomfort, or because they are missing nutrients in their ordinary diet. Others may be simply enjoying a treat, or eating due to boredom. Vets seem to agree that grass alone is not harmful, but pesticides or herbicides on the grass can be, and that owners should take the time to discover the reason behind their dog’s grass consumption. Can Dogs Eat Greek Yogurt? Yes! Greek yogurt is a fine treat for dogs, and is often used as a digestive aid. Greek yogurt, a household favorite low-calorie snack, is completely safe to share with your dog if it wants some, as well. Some dogs, like humans, are lactose intolerant, so proceed with caution when feeding yogurt to your dog. 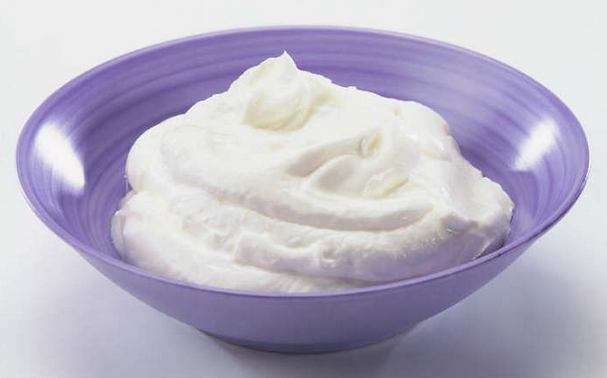 Greek yogurt is often used as a digestive aid due to its probiotic properties. However, research suggests that dogs often digest probiotics before they can have any effect. When sharing with your dog, opt for plain Greek yogurt without artificial sweeteners. A spoonful or two a day is plenty for most dogs. Can Dogs Eat Green Beans? Yes! Green beans are a healthy, filling treat that dogs love. Green beans are a great treat substitute for dogs who are struggling with weight gain. They are low in calories, but their high levels of fiber add bulk to the beans, making them a hearty snack. A green bean diet has even been created to aid with weight loss. Green beans are also excellent sources of a multitude of vitamins and minerals, especially iron and vitamin C. The beans offer several antioxidants to aid in disease prevention. Green beans are best served fresh, without any added salt. Can Dogs Eat Green Peppers? Yes! Green peppers are a healthy treat for dogs, and they love the sweet crunch. 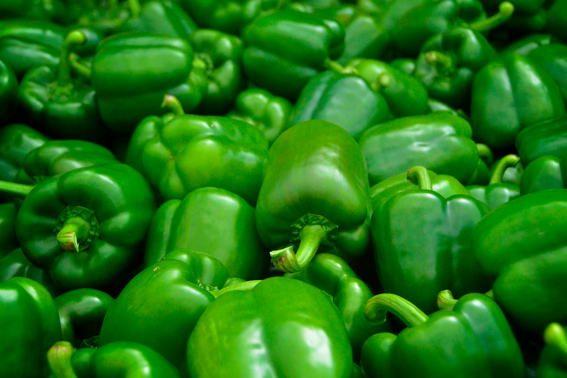 Green peppers are a perfectly safe and healthy snack. They provide a variety of nutrients, and their strong smell and taste make them extremely palatable to dogs. Bell peppers are excellent sources of beta-carotene and fiber. They are also rich in vitamins C and A, along with several other antioxidants that will promote overall health in your dog. They can be enjoyed raw or slightly sautéed, but the seeds pose a choking hazard and should always be removed. A simple recipe is to simply cut green peppers into slices. While it may be OK in small amounts, ham contains too much fat and sodium for dogs. 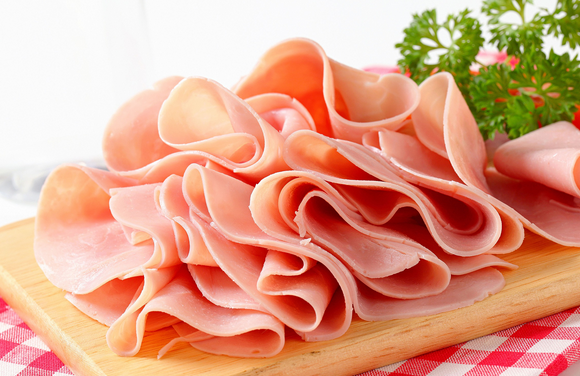 As far as meats go, ham is one of the highest in sodium and fat. Acured meat, ham is often salted further during processing. While it can provide proteins essential to your dog, it can also lead to obesity, heart disease, and pancreatitis. The seasons and glazes that often accompany ham can also pose health risks to your dog. If you decide to feed your dog some ham, attempt to give him an unsalted portion, with the fat trimmed. 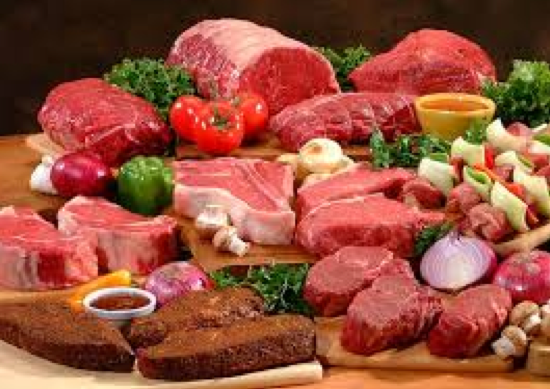 While the meat is rather unhealthy, it most likely will not have any negative effects if eaten as an occasional treat. Can Dogs Eat Ham Bones? No! Any type of cooked bone can easily splinter, causing irreparable damage to your dog. Cooked bones should never be given to your dog as a treat or chew-toy, as they are prone to splinter and can cause a myriad of injuries, including intestinal blockages and internal bleeding. Raw bones, however, can be enjoyed regularly as edible or recreational bones. Some can even formintegral parts of a raw diet, providing excellent sources of calcium and phosphorus. Unfortunately, pork and beef bones are still not recommended, as they are the most likely to splinter, even while raw. Can Dogs Eat Honey? Yes! Raw honey, in moderation, is safe for dogs and can provide a variety of health benefits. Raw honey has been hailed as a natural healer for centuries, and people are beginning to use the product to assist in their animal’s health, as well. 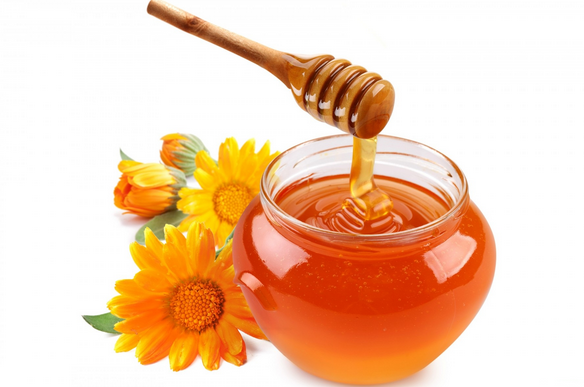 Raw, local honey can provide your dog with allergy as well as gastrointestinal relief. Honey can also be applied topically to assist in the healing of burns and wounds, and is even being incorporated in integrative veterinary medicine. A small amount of local, raw honey each day is enough to provide these benefits. Due to the sugar, large amounts can lead to cavities and tooth decay. 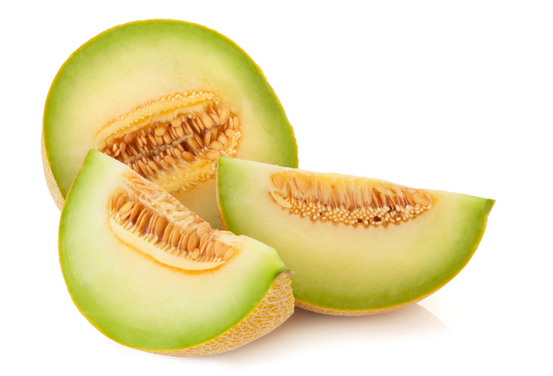 Like other melons, honeydew is non-toxic, and dogs love the sweet taste. Fresh honeydew is a perfectly safe treat for your dog, and one it will most likely pine over. Honeydew offers a complete profile vitamin and minerals that will work to keep your dog feeling and looking its best. Like other fruits, it is best served as a treat in moderation due to its high natural sugar levels. The skin and seeds should always be removed before feeding to your dog, as they could be potential choking hazards, as well as sources of cyanide, which is toxic to dogs. A highly processed meat, hot dogs aren’t healthy for humans, much less dogs. While hot dogs are mostly pork, beef, chicken, or turkey meat, they are also intensely processed with salts and preservatives that can pose health risks to your dog. Due to being processed, hot dogs are stripped of many of the meat’s natural nutrients, and are consequently extremely unhealthy. 100 grams of hot dog, about the weight of one wiener, contains 330 calories and 30 grams of fat. 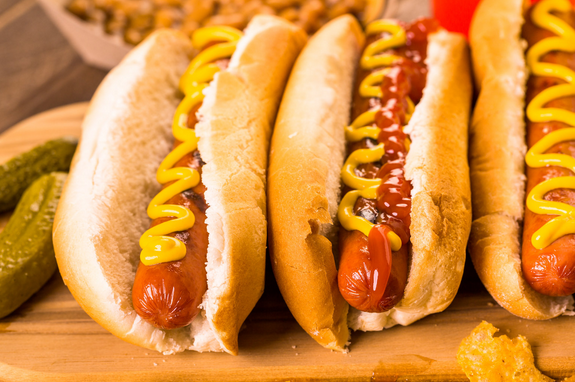 While the occasional treat will most likely not have an negative effects, repeated hot dog consumption can lead to weight gain, kidney problems, and pancreatitis. Chickpeas, hummus’ main ingredient, are fine for dogs, but added ingredients make hummus unsafe for dogs. 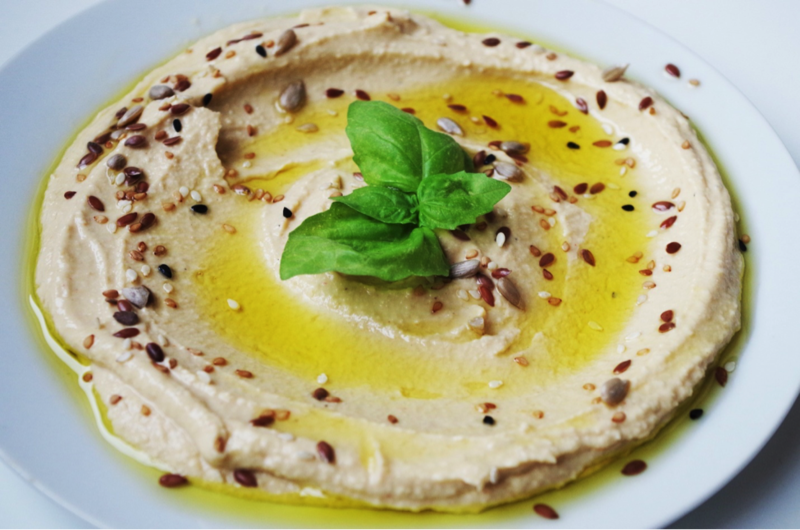 Hummus, with its ingredients being few and natural, is one of the healthiest snack foods for humans. Chickpeas, the staple ingredient, are perfectly safe and even healthy for dogs, but other ingredients, like garlic and lime or lemon juice, can be harmful to your dog. Garlic is one of the most toxic foods a dog can eat, and can even be fatal if enough is consumed. Lemon juice, a citric acid, is not processed well by dogs and can be potentially harmful. If you wish to make a faux hummus for your dog, simply mash some cooked chickpeas in a bowl and serve it as a treat without adding any additional ingredients. Dogs tend to be highly sensitive to milk and milk-based products. 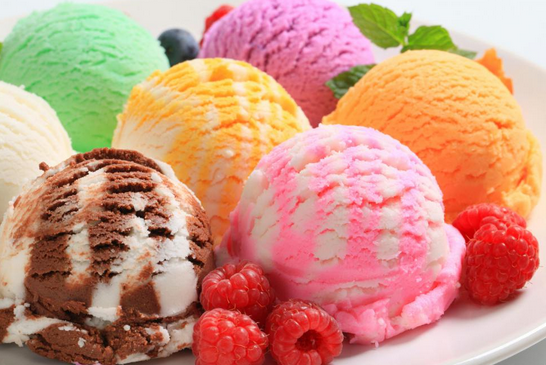 Full of sugar, lactose, and fat as opposed to vitamins and minerals, ice cream poses several health risks to your dog and virtually no nutrition. Milk-based products often cause gastrointestinal discomfort and diarrhea in dogs, so their consumption is not recommended. Dairy products lower in lactose content, such as cheese, may be easier for your dog to digest, as well as offer slightly more nutritional value. Some dogs, like humans, are lactose intolerant, so always proceed with caution when feeding dairy products. For another cold, sweet treat, try frozen fruits, such as blueberries or pineapple. Many dogs don’t find the leafy green palatable, but if yours does it can enjoy many of kale’s health benefits. Kale has swooned in popularity among humans over the past few years, and animal holistic experts are now recommending it as an excellent nutrient supplement for your dog as well. The veggie can be mixed into your dog’s food raw or lightly cooked to provide exceptional sources of beta-carotene, vitamins K and C, in addition to calcium and potassium. 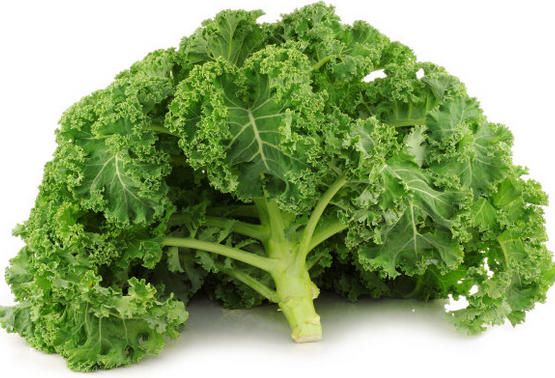 One vet attributes kale to the formation of kidney and bladder stones, due its high levels of calcium oxalate. When serving kale, it is best to stick to minimal to moderate amounts. Kiwi makes for a sweet, healthy treat that your dog will love. Known as a super fruit among humans, your dog can enjoy the benefits of kiwi as well. 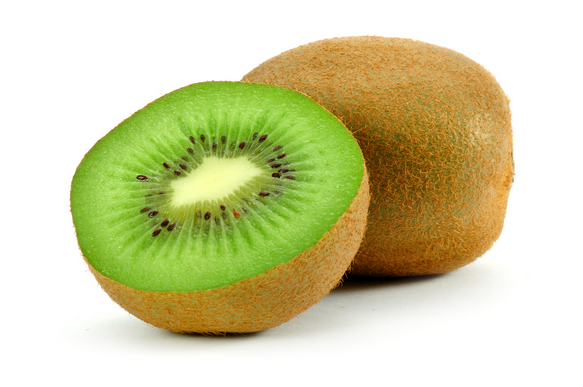 Best served skinned as a treat, fresh kiwi can provide several health benefits to your dog. Kiwi offers a complete profile of nutrients, providing your dog with essential vitamins and minerals. Flavenoids and carotenoids abundant in kiwis are hailed among medical circles for their cancer fighting abilities. Due to their high quantities of natural sugars, kiwis should be fed in moderation in order to avoid giving your dog an upset stomach or diarrhea. 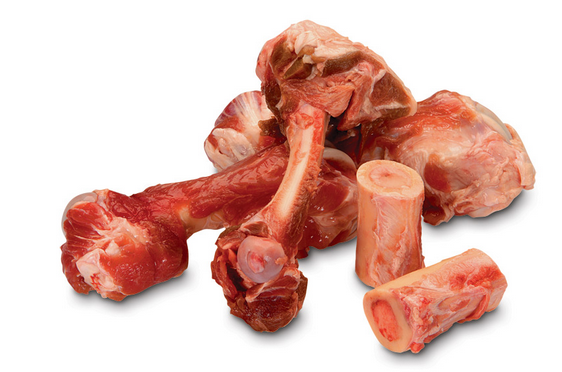 Raw lamb bones are safe for dogs, but cooked bones can cause significant injury risks. Cooked lamb bones should never be given to your dog as a treat or chew-toy, as they are prone to splinter and can cause a myriad of injuries, including intestinal blockages and internal bleeding. 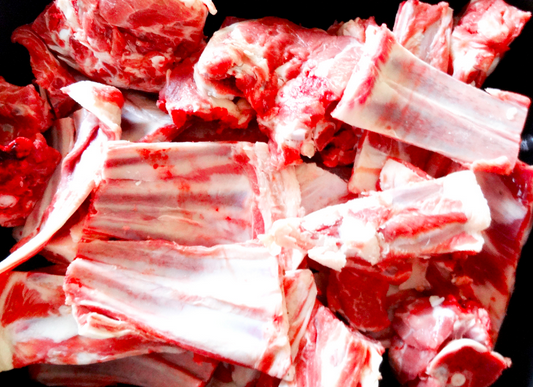 Raw lamb bones, however, can be enjoyed regularly as edible or recreational bones. Some can even form integral parts of a raw diet, providing excellent sources of calcium and phosphorus. The jury is still out on whether lamb bones provide significant nutrition. Unfortunately, pork and beef bones are still not recommended, as they are the most likely to splinter, even while raw. Listed as toxic by the ASPCA, lemons are not recommended for canine consumption. 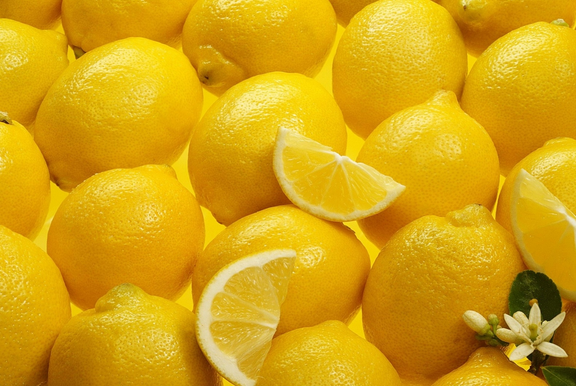 Like grapefruits and other members of the citrus family, lemons are toxic to dogs, due to psoralens and essential oils apparent throughout the fruit. Even mild to moderate consumption can lead to vomiting, diarrhea, and potential photosensitivity. The peel and seeds of the lemon contain the highest quantities of the toxic oils, are the most dangerous parts of a lemon to your dog. However, some argue that, in moderation, lemons can provide a myriad of benefits to dogs. The supposed benefits range from arthritis relief and digestive health to a natural mosquito repellent and shampoo. Can Dogs Eat Lettuce? Yes! 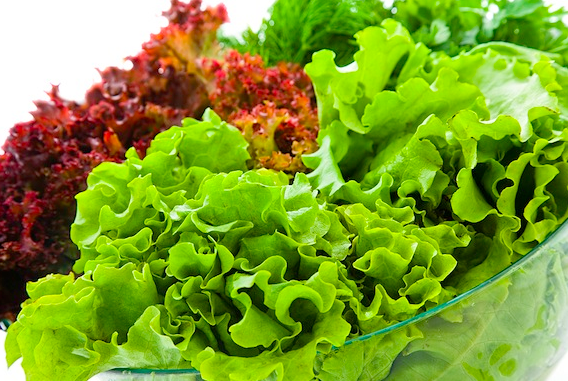 Lettuce of any variety is perfectly safe for dogs to eat. Unlike many fruits and vegetables, no part of the lettuce plant is toxic to dogs, and an entire head of lettuce can be given to your dog without worry. Many dogs will not eat the leafy green, but if yours enjoys it, lettuce can be an excellent low-calorie treat. Lettuce is not very high in nutritional value, but it can be a good source of vitamins K and A , depending on the type of lettuce. Can Dogs Eat Lima Beans? Yes! Cooked lima beans make for a hearty, nutritious snack for your dog. Lima beans should always be served cooked, as raw beans can contain harmful toxins, and raw vegetables are typically more difficult for dogs to digest. 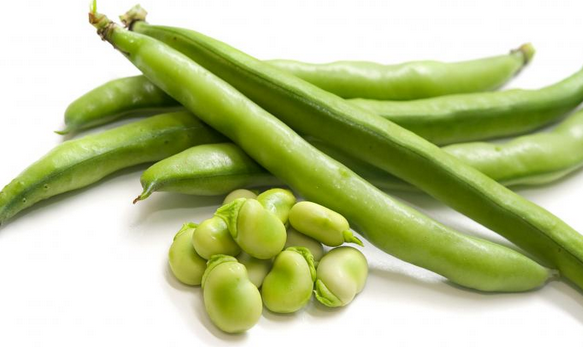 Lima beans are an excellent sources of natural fibers that help regulate digestive functions and battle diabetes. 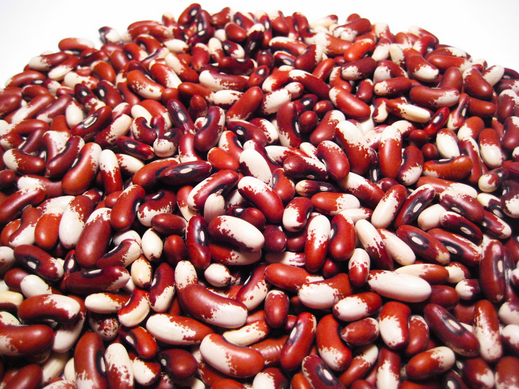 Beans’ complex proteins and minerals attribute to healthy immune function and fat burning. While lima beans are high in protein, dogs still require meat proteins to attain necessary amino acids, so the beans cannot substitute meat in a dog’s diet, as is seen in many human diets. Can Dogs Eat Mango? Yes! Once the pit is removed, mango can be a sweet, nutritious treat for your dog. Raw, fresh mangos are often a dog favorite, and are absolutely loaded with vitamins and minerals essential to them. The pits, however, are rather large and should be removed before feeding mango to your dog. 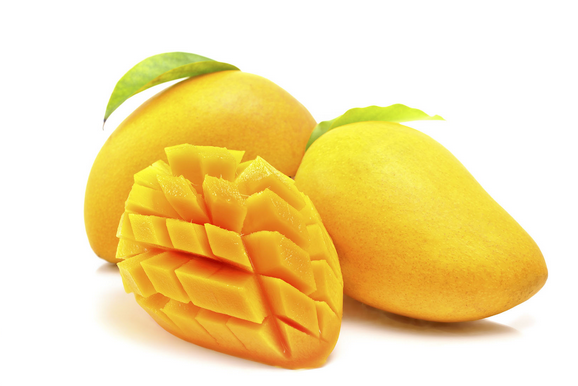 Mangos are rich in vitamins C, A, and B, as well as potassium and calcium. 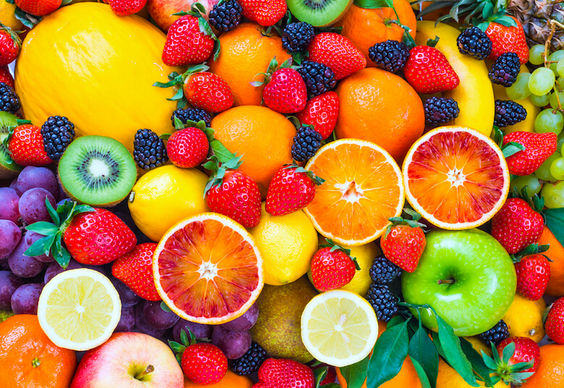 The multitudes of antioxidants present in the fruit make it an excellent source of natural disease prevention. Opt for fresh, not frozen mangos in order to provide your dog with the most nutrients. If possible, buy organic in order to avoid feeding your dog any toxic pesticides. Melons are non-toxic to dogs, and an excellent sweet treat. Fresh melons are a perfectly safe treat for your dog, and one it will most likely pine over. Melons offer a complete profile of vitamins and minerals that will work hard to keep your dog feeling and looking its best. Like other fruits, they are best served as a treat in moderation, due to their high natural sugar levels. 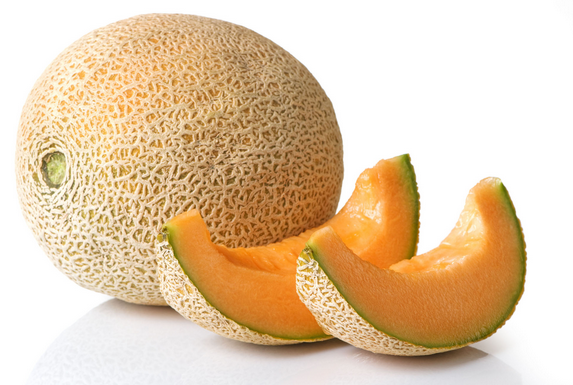 The skin and seeds of any melon should always be removed before feeding to your dog, as they could be potential choking hazards, as well as sources of cyanide, which is toxic to dogs. Store-bought mushrooms are perfectly safe for dogs to eat, but wild mushrooms should be avoided. Store-bought mushrooms are non-toxic dogs, and are best served plain without sauces or other accompaniments. 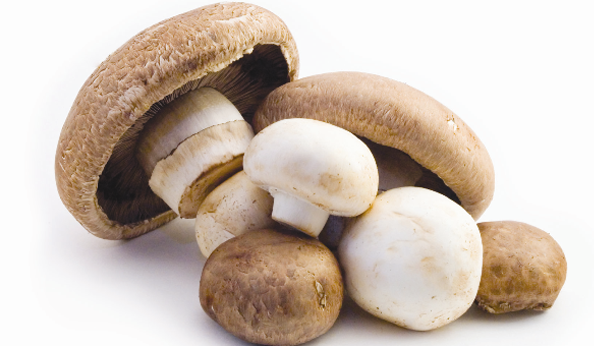 Mushrooms are low in calories, high in vitamin D, and several antioxidants that will aid immune functions in your dog. Wild mushroom species are numerous and varied, proving difficult for even experts to identify. Toxicity to dogs can vary, even within the same species, due to many factors, including its habitat or preexisting health conditions in the dog. If you see your dog eat wild mushrooms, attempt to get a description of the mushroom and contact your veterinarian immediately. 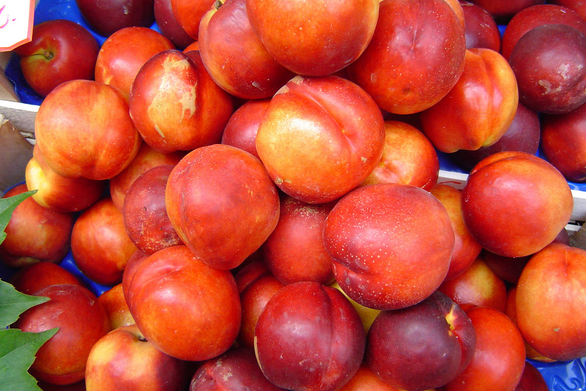 Nectarines are safe for dogs to eat and make for a great sweet treat. Raw, fresh nectarines are non-toxic to dogs and even provide health benefits to them, being a good source of Vitamins A and C, potassium, and fiber. After a thorough washing, nectarines’ skins, especially organic ones, are perfectly safe for dogs to eat. Nectarines are, however, high in natural sugars, which can cause an upset stomach or diarrhea in some dogs after moderate consumption. The fruit’s pit should always be removed before feeding to your dog, as it contains trace amounts of cyanide, which is toxic to dogs. The pit can also pose a serious choking hazard or a potential intestinal blockage. While a few types of nuts may be OK for your dog on occasion, dogs typically don’t digest nuts very well. Some nuts, such as peanuts and cashews, are non-toxic to dogs, but many others can cause gastrointestinal distress or even toxic poisoning. Walnut poisoning is one of the most common claims for toxic ingestion in dogs, and macadamia nuts are also known to be toxic to dogs. Nuts are rich in fat, and often flavored with salts that can pose a risk to your dog. 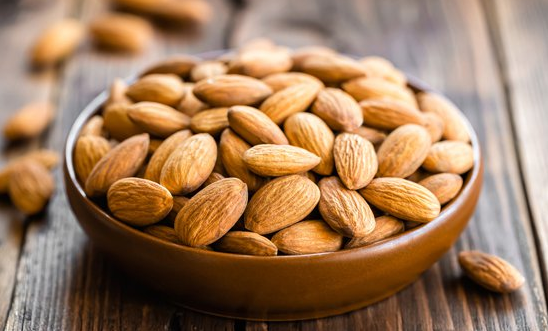 Nuts such as almonds, pecans, and pistachios are not necessarily toxic to dogs, but have been known to cause intestinal obstructions and moderate-to-severe gastrointestinal distress. Can Dogs Eat Oatmeal? Yes! Oatmeal is completely safe for dog to eat, and even encouraged in certain circumstances. Oatmeal is an excellent source of soluble fiber, and has been recommend as a solution for older dogs that struggle to maintain regular bowel movements. Best served after it has cooled, oatmeal also provides formidable quantities of iron, zinc, manganese, and several B vitamins. 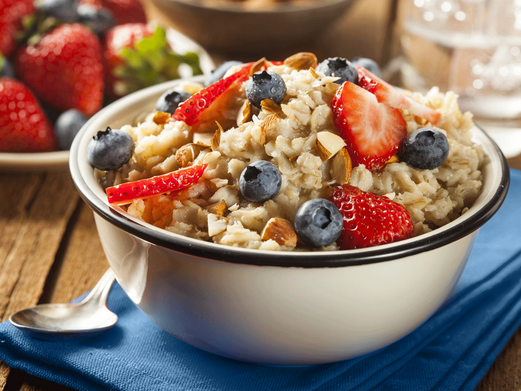 Oats are low in gluten, reducing allergen risk, and are readily available free of GMOs. Oatmeal has long been used as an herbal remedy used both topically and internally in dogs. Oats have been attributed with antitumor, digestive, and hormonal properties. They are also commonly used a shampoo, soak or poultice. Can Dogs Eat Olives? Yes! Most dogs tolerate olives fine, but some are intolerant to the fruit. 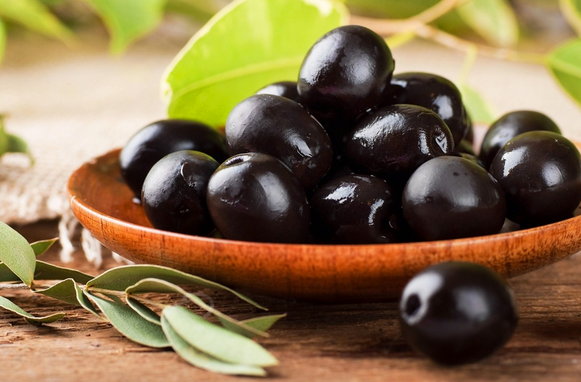 Black and green olives are both safe for dogs to eat, provided they are unsalted and the pits are removed. Proceed with caution when first feeding olives to your dog, as some dogs may experience mild intestinal discomfort after ingesting the fruit. Olives are very nutritious, containing notable quantities of a variety of vitamins and minerals essential to dogs. Avoiding feeding your dog canned olives, as they are often loaded with additional salt and preservatives. It is important to note that in the rare case your dog eats a moldy olive, to contact your veterinarian immediately, as the mold can cause seizures and tremors. Can Dogs Eat Onions? No! A member of the Allium family, onions are toxic to dogs and unsafe for consumption. Although not nearly as toxic as garlic, moderate or continued consumption of onions can cause gastrointestinal irritation and irreparable red blood cell damage. If enough is ingested, onions can even be fatal to dogs. Onion toxicity, caused by thiosulphate, leads to hemolytic anemia, and if serious enough can require considerable hospital time and a blood transfusion. Onions are toxic both cooked and raw, and it is important to keep in mind the vast quantity of foods seasoned with onions. 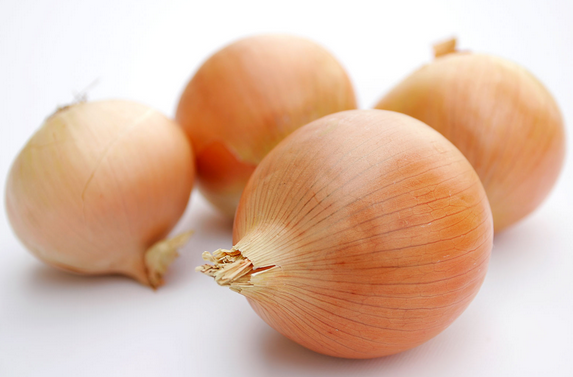 If you think your dog has ingested onions, contact your veterinarian and monitor your dog closely. Although listed as toxic by the ASPCA due to being in the citrus family, vets approve oranges for dog consumption. Due to the toxicity of grapefruits and lemons, dog owners are often wary of feeding their companions any citrus fruits, but veterinarians assert that the citric acid in oranges is not dangerous to dogs, but may be a concern for cats. Opt for fresh, organic oranges when possible in order to avoid feeding your dog additional sugars and harmful pesticides. Always remove the rind, as it is difficult for dogs’ digestive systems to break down effectively. More worrisome than oranges’ citric acid is the fruits’ high natural sugar content. While not necessarily unhealthy, moderate amounts of natural sugar have been known to cause intestinal discomfort and diarrhea in some dogs. Can Dogs Eat Pasta? Yes! 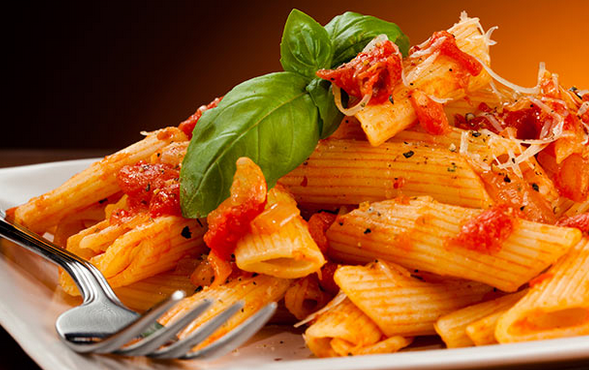 While cooked noodles are perfectly safe for dogs to eat, pasta sauces should be avoided. Plain, cooked pasta of any variety is perfectly safe for dogs to eat, but does not offer much nutritional value. It has, however, been recommended with rice as a cure to an upset stomach. Pasta, being packed with carbohydrates, is not the best treat for overweightdogs. Frequent consumption can also lead to weight gain issues in dogs who previously had none. It is important to note that pasta sauces should never be fed to your dog, as they are often seasoned with salts or ingredients toxic to dogs, such as garlic or onions. Although it is becoming a controversial food, peanut butter is typically considered safe for dogs. High in protein, healthy fats, niacin, and vitamins B and E, peanut butter is a traditionally favorite treat for dogs by owners and pets alike. Some commercial peanut butters have recently come into question for containing supposed cancer agents, harmful fats, and high sugar contents, causing concern in pet parents over the staple treat. 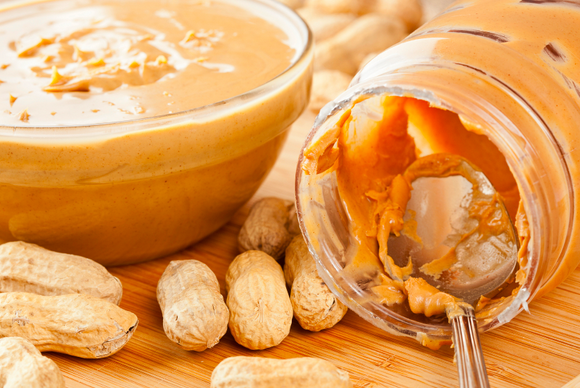 By opting for raw, unsalted peanut butters, harmful ingredients can be avoided. Be sure to not feed your dog sugar-free or reduced sugar varieties, as they often contain xylitol, a naturally occurring sugar substitute toxic to dogs. Due to peanut butter’s moderately high fat and calorie content, the treat is best enjoyed in moderation. Unlike many other nuts, peanuts are non-toxic and safe for canine consumption. Unlike toxic nuts like walnuts and macadamia nuts, peanuts are safe for dogs to eat, and make for an excellent occasional treat. Quantities administered should be monitored closely, as frequent or extensive consumption can have negative side effects. 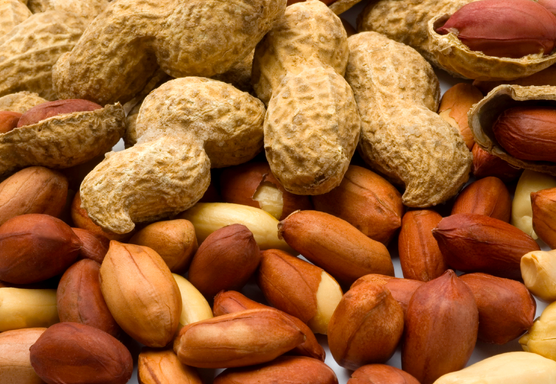 Peanuts are inherently high in fat, which is difficult for dogs to digest. Some dogs may be prone to gastrointestinal discomfort or diarrhea. Overconsumption of fat can lead to inflammation of the pancreas and pancreatitis. Opt for unsalted peanuts to feed your dog. Salt is generally not good for dogs, and excess sodium can cause vomiting, diarrhea, disorientation, and even comas. Can Dogs Eat Pears? Yes! Pears are not only safe for dogs to eat, but a nutritious treat as well. Raw, fresh pears are completely safe for dogs to eat in reasonable quantities. The fruit has even been attributed with the ability to reduce the risk of stroke by up to 50 percent. 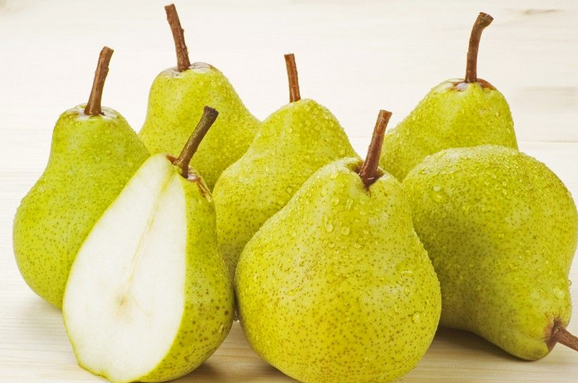 High in fiber, copper, and vitamins C and K, pears’ nutrition is on par with their flavors. Though dogs love the sweetness of its natural sugars, they do cause diarrhea in some dogs, so quantities should be moderated. The pear can be removed from the core and sliced before serving, but the seeds do not pose much risk to dogs. They are too small to be a choking hazard except in the smallest breeds, and while they do contain trace amounts of cyanide, a huge amount of seeds would have to be crushed and eaten to cause negative effects. Can Dogs Eat Peas? Yes! A common dog food ingredient, peas are completely safe for dogs to eat. Peas are often seen in high quality dog foods due to their deep reserves of protein and insoluble fiber. Fresh, cooked peas can be served as a healthy, low-calorie treat, or supplemented directly into your dog’s food. Peas provide excellent sources of vitamins K and C, and are good sources of several other vitamins and minerals. 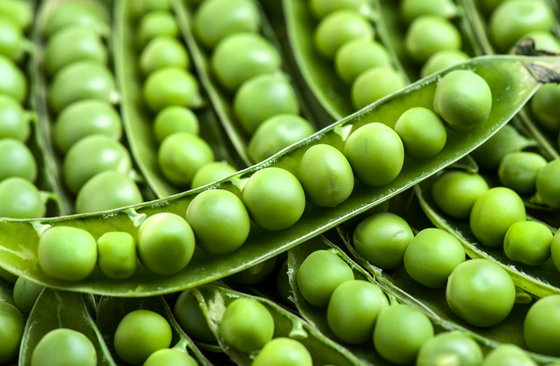 Fresh peas are commonly available in snow, sugar snap, and English varieties. Sugar snap and snow peas can be cooked by lightly grilling each side of the pod, and it can be served in its entirety. English peas must be shelled, then the peas cooked in boiling water for a few minutes. Pickles are often fermented in large amounts of sodium; opt for a fresh cucumber. If you realize your dog has eaten some pickles, don’t panic, there is probably no immediate danger. Pickles, especially when compared to their pre-pickled state, cucumbers, are simply not very nutritious for dogs. 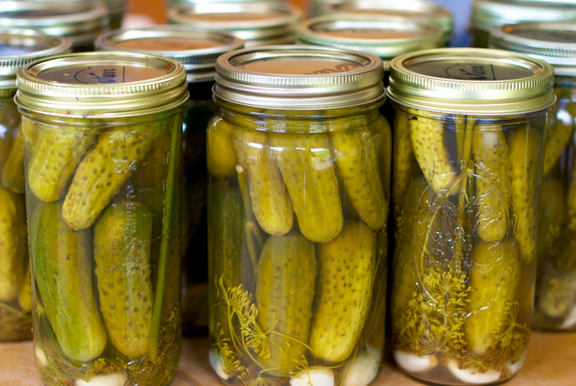 Pickles absorb huge amounts of sodium during the fermentation process. Other ingredients that can pose health risks to dogs, like onions, are also often included in the fermentation solution for additional flavor. While it is true that the occasional pickle will most likely not harm your dog, it will also not provide added nutrients or health benefits. Opt for fresh, raw cucumbers as a nutritious, crunchy treat. 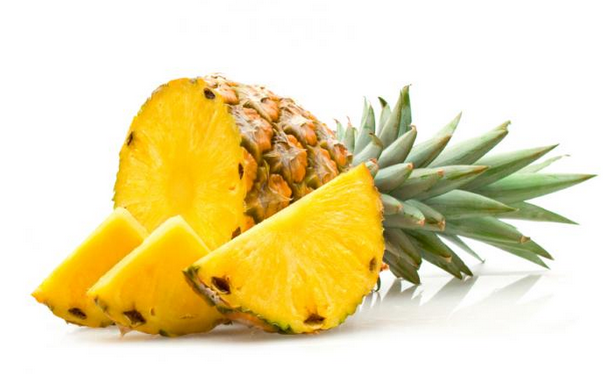 Pineapples are non-toxic, absolutely delicious, and can provide a plethora of health benefits. Fresh, raw pineapples are nutrient dense, offering a complete profile of vitamins and minerals. Best served as a bite-size treat, pineapples can provide a variety of health benefits. Bromelain, a mixture of naturally occurring enzymes found in pineapples, is utilized for its anti-inflammatory properties as well as cancer fighting agents. Pineapples have even been attributed with the ability to deter dogs’ unpleasant habit of dining on their own feces. Due to pineapples’ high amounts of natural sugars, which can cause an upset stomach or diarrhea after moderate amounts are ingested, treat sizes should be limited to only a few slices a day. Unsalted, unbuttered popcorn is a fine treat that dogs will love. Although popcorn provides little nutritional value for dogs, apart from a modest amount of fiber, the food is safe to eat, and dogs seem to absolutely love it. 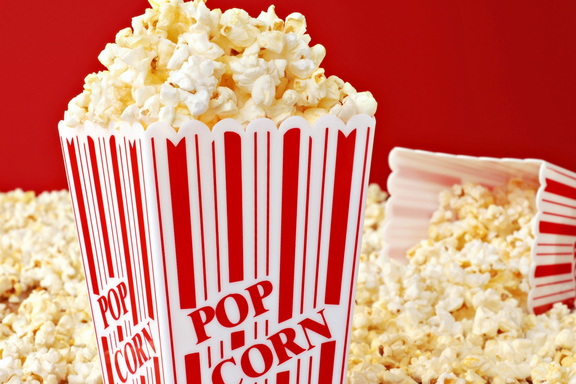 Best served as a treat or utilized as a training tool, popcorn portions should be limited to only a few kernels. Only unsalted and unbuttered popcorn should be fed to your dog. The oils, fats, and sodium only add unhealthy calories, and their ingestion may result in gastrointestinal distress or diarrhea, as well as weight gain after continued consumption. Can Dogs Eat Pork? Yes! 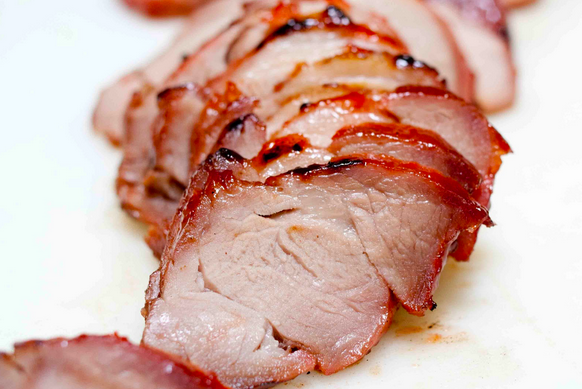 Lean cuts of pork are perfectly healthy, but the fatty and salty cutsshould be avoided. Opponents of feeding pork to dogs often argue that pork is high in fat, and can lead to pancreatitis. While this is true of bacon, ham, or particularly fatty cuts of pork, lean cuts of pork are no more dangerous than beef, and can be part of a well balanced diet for your dog. Pork, as meat, provides essential amino acids that dogs cannot manufacture themselves or receive from other foods. Pork is never recommended to be served raw, simply to reduce risk of diseases, like trichinellosis. It is important to note that table scraps, or pork cooked with butters, salts, or seasonings should never be fed to dogs. Can Dogs Eat Potatoes? Yes! Seen often in dog foods as the feature source of carbohydrates, potatoes are completely safe for dogs to eat. Even though potatoes are commonly seen as featured dog food ingredient, and are perfectly safe to eat, the fact remains that the starchy carbohydrates offer little nutritional value to dogs. 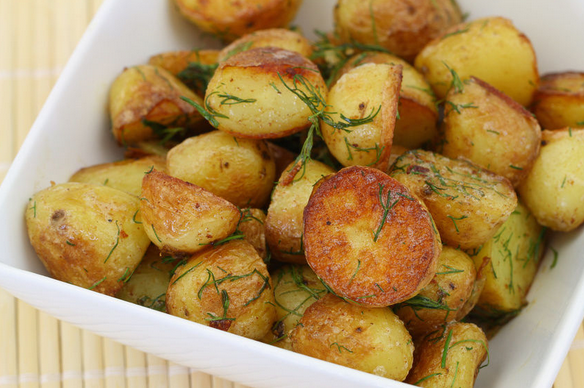 Potatoes are nonetheless a hardy snack, and make for a good occasional treat if your dog enjoys them. They are best served skinned, plain, and cooked thoroughly. Raw potatoes should never be given to your dog, nor should they be allowed to eat any potato plants. 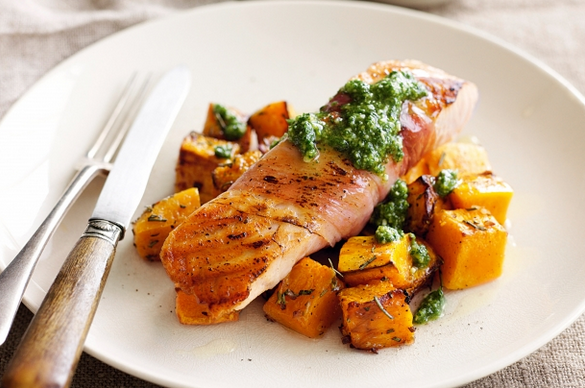 Sweet potatoes are the most nutritious variety of potatoes, featuring an impressive amount of fiber, and more vitamins and antioxidants than white potatoes. Can Dogs Eat Quinoa? Yes! Quinoa is a nutritious, gluten-free grain safe for canine consumption. Quinoa has become extremely popular among health conscious persons, due to its unique blend of beneficial properties, which can aid dogs as well. The grain is gluten-free, and a rare vegetable source of complete proteins. While the proteins may still not be as biologically available to dogs as they are to humans, your dog’s stomach will easily digest the gluten-free grain. Quinoa’s high density of proteins and fibers add bulk to the food while allowing it to remain low in cholesterol and sodium. 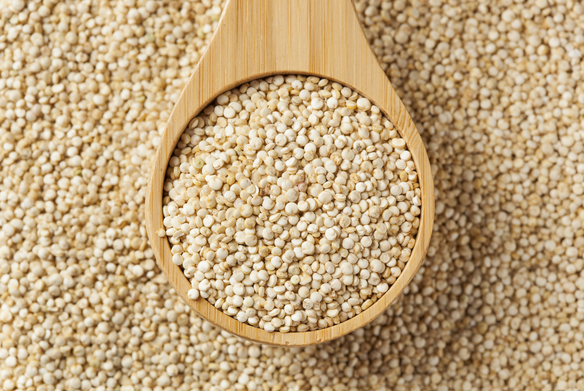 Quinoa is best served plain, after being rinsed thoroughly then boiled for around 15 minutes. Can Dogs Eat Radishes? Yes! Radishes are non-toxic and healthy for dogs, but not all are fans of the pungent taste. Radishes are safe for dogs to eat, and if they enjoy the taste, can even provide some health benefits to your dog. Radishes feature excellent sources of dietary fiber, which induces healthy digestive function, as well as an impressive array of vitamins and minerals. Radish seeds can even sprouted as healthy decoy grass for your dog to chew on. Due to the vegetable’s rough nature, simply chewing radishes can lead to dental benefits by naturally scraping away plaque and food remnants. 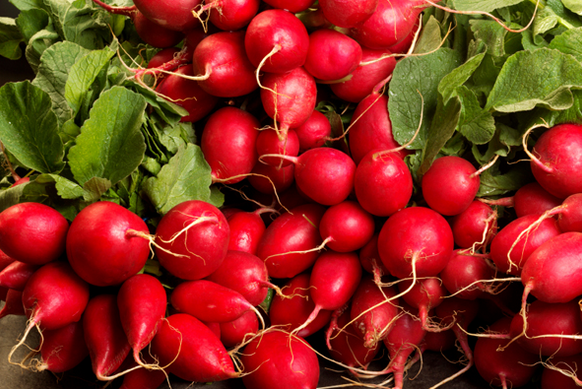 Radishes are also good sources of vitamin C, and encourage healthy teeth and bones. Can Dogs Eat Raisins? No! Raisins, being dried grapes, are toxic to dogs and can prove fatal. Although the toxic property in raisins is still unknown, grape and raisin toxicity in dogs has been well documented. Even minute quantities of the fruit have shown the ability to be fatally toxic to dogs. For unknown reasons, the canine ingestion of raisins often leads to acute kidney failure, which can prove lethal without immediate treatment. 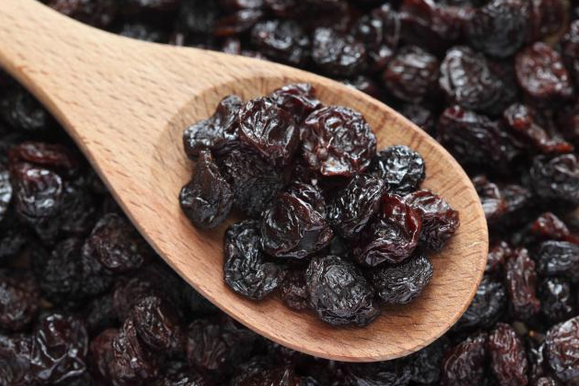 Other symptoms of raisin toxicity are vomiting, diarrhea, lethargy, dehydration, and anuria. If you think your dog has eaten grapes or raisins, contact your veterinarian immediately. Can Dogs Eat Raw Chicken? Yes! 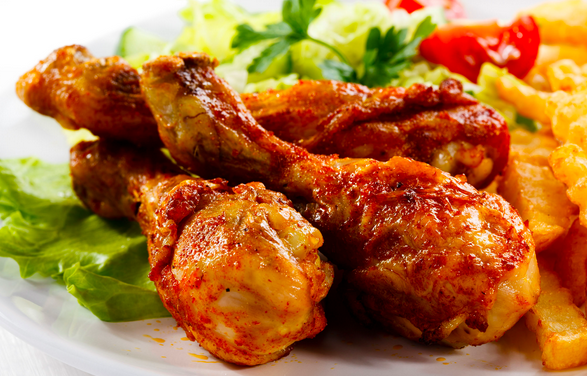 Raw diets are becoming increasingly popular, and chicken is a leading protein choice. With growing skepticism surrounding commercial dog foods, raw diets are steadily gaining momentum as a healthier option. Raw chicken would be an essential part of any raw diet, but can also be served to your dog as a treat or protein supplement. Proponents of raw diets claim a variety of benefits, ranging from shinier coats and healthier skin, to higher energy levels and cleaner teeth. Opponents cite diseases on raw meats, and fans rebuttal that dogs are equipped with an arsenal of friendly bacteria to assist with digesting raw meats. Never feed your dog a raw diet without first consulting your veterinarian on the best, healthiest path to take. Can Dogs Eat Raw Eggs? Yes! Raw eggs are a complete food source that dogs savor. Raw eggs have an exceptionally high nutritional value to dogs, providing all essential amino acids, as well as necessary vitamins and nutrients. However, there is some controversy surrounding the feeding of raw eggs to dogs. Detractors claim that raw eggs open risks to salmonella and contain biotin deficiencies, while those in favor of the food argue that dogs are well equipped to handle salmonella, and that raw eggs provide enough biotin to overcome the deficiencies. The fact remains that raw eggs are much more nutritious for dogs than cooked, but that your veterinarian should be considered before feeding them to your dog. Can Dogs Eat Raw Meat? Yes! Although controversial, raw diets are gaining steady popularity. With growing skepticism surrounding commercial dog foods, raw diets are steadily gaining momentum as a healthier option. Raw meat would be an essential part of any raw diet, but could also be served to your dog as a treat or protein supplement. Proponents of raw diets claim a variety of benefits, ranging from shinier coats and healthier skin, to higher energy levels and cleaner teeth. Opponents cite diseases on raw meats, and fans rebuttal that dogs are equipped with an arsenal of friendly bacteria to assist with digesting raw meats. Never feed your dog a raw diet without first consulting your veterinarian on the best, healthiest path to take. Can Dogs Eat Raw Potatoes? No! Potatoes should always be cooked thoroughly before served to your dog. Although potatoes are a commonly seen ingredient in dog food, WebMD’s pet department warns that raw potatoes should never be given to your dog, nor should they be allowed to eat any potato plants. Potato skins, leaves, and the plant are all toxic to dogs, so contact your veterinarian immediately if you see your dog eat a raw potato or a potato plant. Can Dogs Eat Rib Bones? No! While some raw bones are safe for dogs, pork bones are prone to splintering. Cooked rib bones should never be given to your dog as a treat or chew-toy, as they are prone to splinter and can cause a myriad of injuries, including intestinal blockages and internal bleeding. Some raw bones, however, can be enjoyed regularly as edible or recreational bones. Some can even form integral parts of a raw diet, providing excellent sources of calcium and phosphorus. 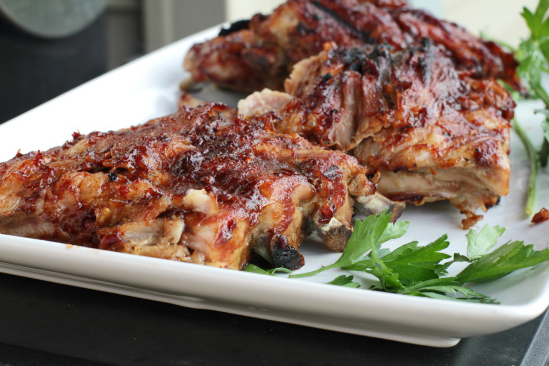 Unfortunately, pork rib bones are still prone to splintering while raw, and therefore not recommended to give to your dog. Can Dogs Eat Rice? Yes! Rice is safe for wheat tolerant dogs, and a natural remedy for gastrointestinal discomfort. With grain-free diets gaining popularity, many pet owners wonder if dogs can eat the staple grain: rice. Unless your dog has gluten or grain intolerance, rice is an excellent carbohydrate source. Rice is a good source of fiber, low in fat, and easy to digest. Rice also features antioxidants and minerals that assist with weight loss and healthy blood sugar levels. Rice, a bland meal, has long been used as a natural remedy to soothe vomiting or diarrhea in dogs. 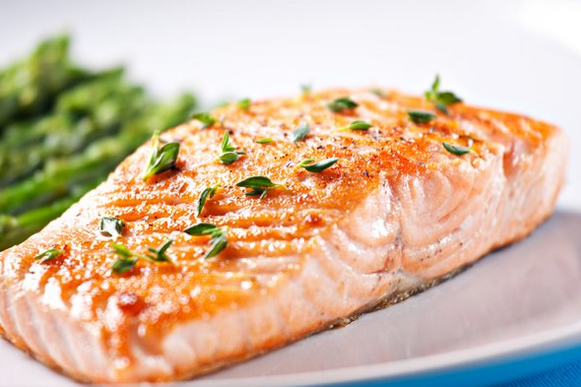 Salmon is safe for canine consumption, and an excellent source of animal proteins and healthy fatty acids. Salmon, a meat more commonly associated with cat food, is one of the best protein sources for dogs and cats alike. Salmon not only contains a complete amino acid profile, but is also a good source of healthy omega-3 fatty acids, which contribute to the shine and silkiness of a dog’s coat, as well as its immune system. Recent evidence suggests that salmon may also aid with canine allergies. Caution! Some salmon (and trout) from the West Coast of the U.S. can contain a tiny parasite (Neorickettsia Helminthoeca) that can make dogs sick and possibly be fatal. This condition is commonly called “Salmon Poisoning”. Salmon that is either frozen for several days or cooked is safe, the Neorickettsia Helminthoeca will be killed by either process. It is best to always be safe by cooking salmon before feeding it to your dogs. Fortunately, humans are not affected by “Salmon Poisoning”. Seaweed, algae, and kelp are safe for dogs to eat, and provide health benefits as well. Several types of seaweed, algae, and kelp are safe for your dog to eat. Healthy varieties include, but aren’t limited to, brown, red, green, and blue-green algae. Dogs enjoy seaweed’s natural taste, but the ocean vegetable is actually low in sodium, and is often used as a salt substitute for dogs. 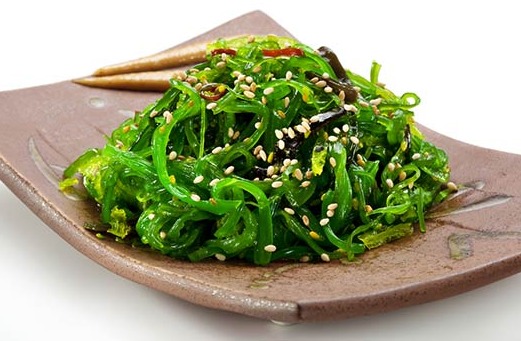 Seaweed also features impressive sources of iron, iodine, and potassium. It is important to note reports of dogs eating dried seaweed on a beach, only for the seaweed to later expand internally, causing potentially fatal internal complications. Cooked shrimp is safe for dogs to eat, and a great protein-packed treat. Dogs, like humans, are susceptible to shellfish toxicity, so feeding your dog raw shrimp is not recommended. Best served plain without salts, butters, or sauces, thoroughly cooking the shrimp effectively removes it of any health risks. 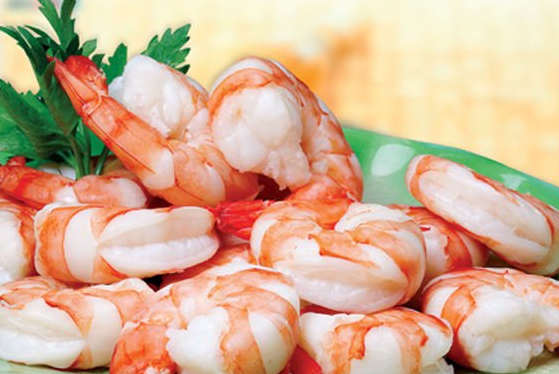 Shrimp is low in saturated fat, and an excellent source of animal proteins. The shellfish also features an extensive array of minerals, as well as hailed cancer fighter, selenium. However, shrimp is very high in cholesterol, and as such your dog should be limited to the occasional treat of one or two shrimp, in order to avoid negative long-term effects. Can Dogs Eat Spinach? Yes! One of the healthiest leafy greens, spinach is safe for canine consumption. Fresh spinach is perfectly safe for dogs to eat, and healthy for them as well. Many dogs are not natural fans of the leafy green, but will eat spinach if it is mixed into or pureed then poured over their food. 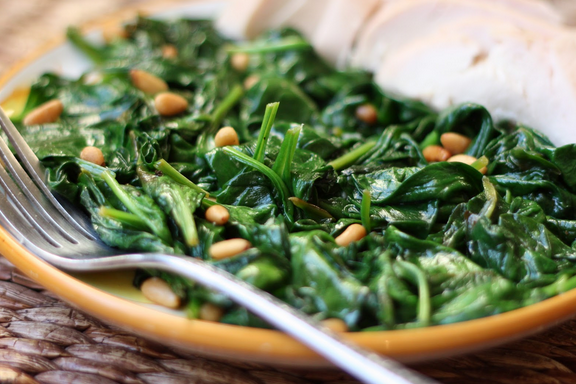 Spinach boasts a complete profile of vitamins and minerals, featuring an exceptional amount of iron. Spinach has also been recognized for its ability to aid inflammation, promote cardiovascular health, and even fight cancer. The vegetable does contain oxalates that are toxic to a dog’s kidneys. However, an impractically large amount of spinach would have to be consumed before any damage occurred. Dogs can safely eat squash, and even benefit from its various nutrients. Fresh squash is best served to your dog with the seeds removed and lightly cooked, as dogs tend to digest cooked vegetables easier. Squash can be made into a variety of dog friendly dishes, ranging from squash spaghetti to squash soup. The fruit contains properties similar to pumpkins, and is commonly used as a stool stiffener for dogs with loose stools. 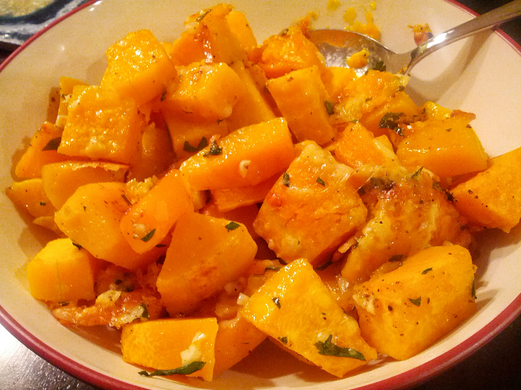 Squash also features a formidable amount of beta-carotene , which contributes greatly to eye health. Only plain squash should be fed to your dog, without any additional salts, butters, or flavors. Strawberries make for a sweet, nutritious treatthat dogs love. Fresh, raw strawberries are completely safe, and nutritious for dogs to eat. Dogs enjoy frozen strawberries, but some nutrients are lost in storage. 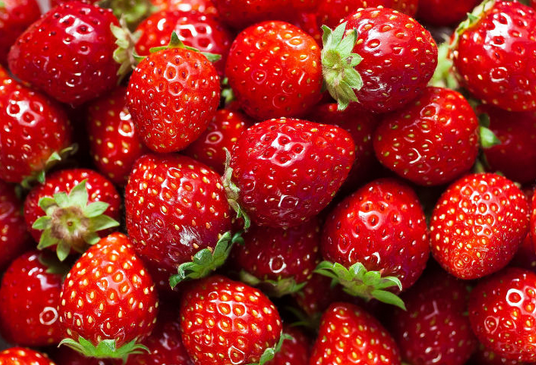 Canned strawberries should be avoided, as they are usually packaged with sugars and preservatives. Strawberries offer a multitude of vitamins and minerals, featuring notable amounts of fiber and potassium, as well as vitamins C, B1 and B6. The fruit can aid dogs with weight management and maintaining a healthy immune system. Strawberries are, however, exceptionally high in natural sugars known to cause gastrointestinal discomfort or diarrhea in some dogs, so quantities fed should be limited to conservative amounts. 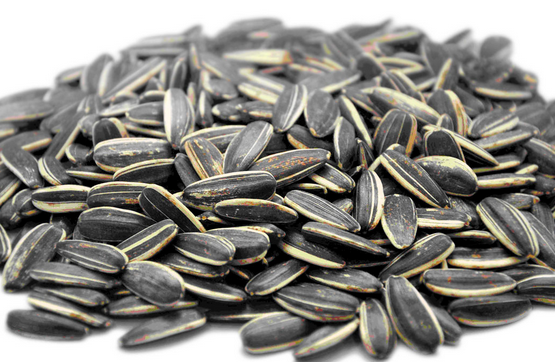 Unsalted sunflower seeds are safe for dogs, but flavored varieties may pose health risks. Only unsalted sunflower seeds should be fed to your dog, as salted flavors pose a risk for sodium toxicosis. Although the shell is not toxic to dogs, it can become a choking hazard, so shelled sunflower seeds are typically recommended. Apart from a tasty treat, the sunflower oil contained in the seed can help improve your dog’s skin and coat. The seeds are also full of nutrients, many of which embody anti-inflammatory and anti-cancer properties. Sunflowerseeds are high in fat, and excessive consumption can lead to gastric distress in your dog, so treats should be occasional, and of a modest size. Can Dogs Eat Sweet Potato? Yes! Sweet potatoes are safe for dogs and healthier than their white counterpart. Perfectly safe for canine consumption, sweet potatoes are the most nutritious variety of potatoes, featuring an impressive amount of fiber, and more vitamins and antioxidants than white potatoes. 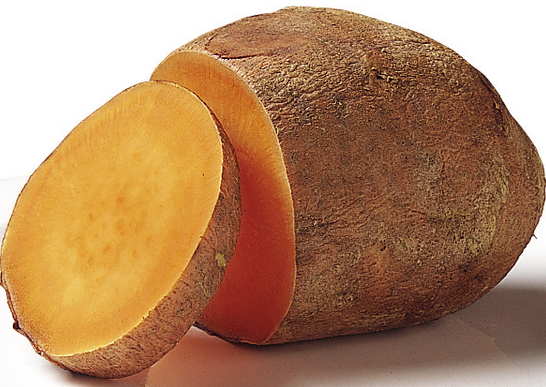 Sweet potatoes are a hardy snack, and make for a healthy occasional treat if your dog enjoys them. They are best served skinned, plain, and cooked thoroughly. 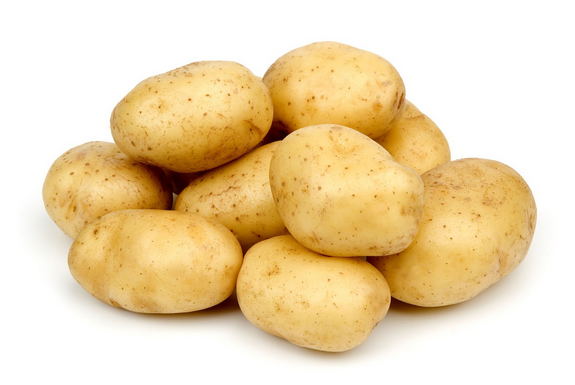 Raw potatoes should never be given to your dog, nor should they be allowed to eat any potato plants, as potato skins, plants, and leaves are all toxic to dogs. 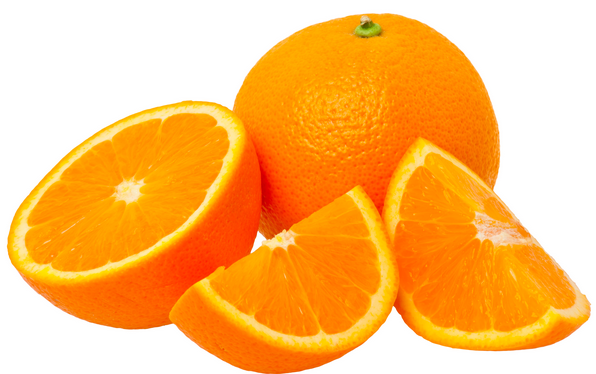 Similar to oranges, tangerines are healthy, and dogs love the sweet taste. Tangerines are safe for dogs to eat, bursting with vitamins and minerals, and readily available in fresh, organic forms. With an impressive range of vitamins and antioxidants, tangerines are a powerful aid to dogs’ immune systems. 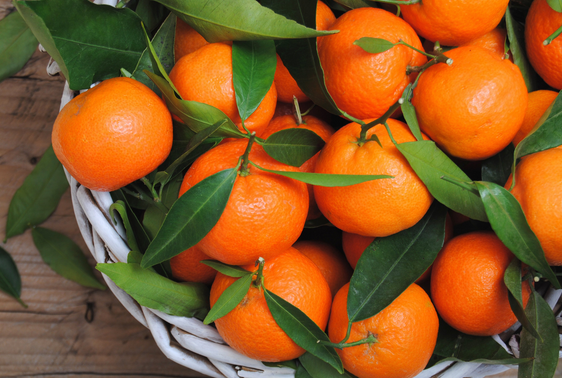 Tangerine’s ample amount of fiber can also help regulate bowel movements in dogs struggling with regularity. Tangerines, like other fruits, are high in natural sugars known to cause gastrointestinal discomfort in dogs after a considerable amount is consumed. Treats should therefore be limited to a few slices a day, with the skin and seeds removed. 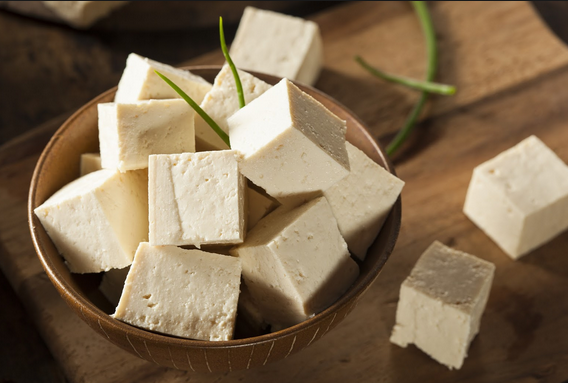 While dogs can digest soy safely, tofu is chemically processed and not recommended for dogs. Although not a seemingly typical food for dogs, soy provides dogs with several benefits without imposing any negative effects. However, tofu is a chemically processed form of soy, and can pose a few health risks to your dog. Tofu, being made up of texturized soy protein-based products, can be tough for dogs to digest and lead to loose stools. Moderate amounts of tofu can cause an intestinal gas buildup, and large quantities can even cause nerve damage due glutamine, an excitotoxin in tofu. Although a member of the Nightshade family, ripe tomatoes are safe for dogs to eat. While the tomato leaves and plant, as well as green, unripe tomatoes are toxic to dogs due to concentrated amounts of alpha-tomatine, a substance poisonous to dogs. However, ripe tomatoes are non-toxic, and perfectly safe for your dog to enjoy as a treat. 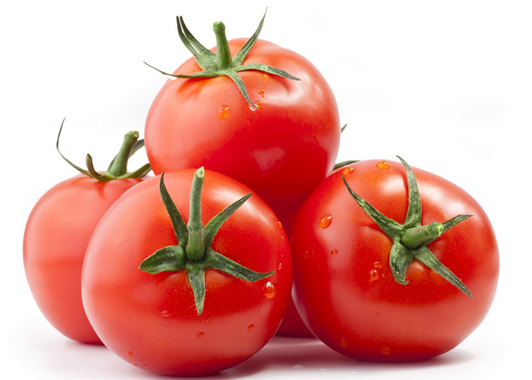 Ripe tomatoes do contain trace quantities of tomatine, but an inordinate amount of tomatoes would need to be eaten to cause any negative effects. If your dog eats an unripe tomato or part of the plant, immediately contact your veterinarian and look for signs of nausea, weakness, or confusion. Dogs can digest tuna safely, but canned products cause health concerns. 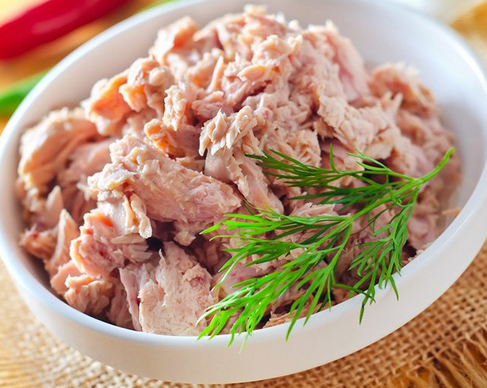 Tuna, as a lean protein packed with B vitamins and healthy fatty acids, is an attractive meat choice for dog owners. Dogs enjoy the meaty fish, which can be implemented in a natural diet or served as a supplement to your dog’s current diet. The canine consumption of canned tuna, however, should be avoided, as it is packed with additional sodium and can contain high mercury levels. Feeding your dog canned tuna can lead to serious and potentially fatal health conditions such as weight gain, pancreatitis, and even bloat. While tuna fish is an exceptional lean meat, there are a few concerns when feeding to dogs. Tuna, as a lean protein packed with B vitamins and healthy fatty acids, is an attractive meat choice for dog owners. Dogs enjoy the meaty fish, which can be implemented in a natural diet or served as a supplement to your dog’s current diet. There are however, a few things to consider before feeding tuna to your dog. 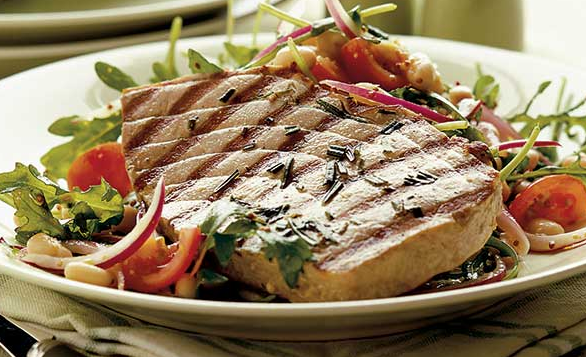 Tuna is a long-lived fish, and often contains high mercury levels compared to short-lived fish. The canine consumption of canned tuna should be avoided, as it is packed with additional sodium and can lead to long-term negative health effects. Can Dogs Eat Turkey? Yes! 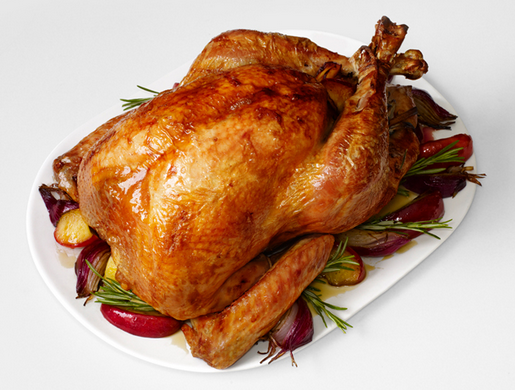 Turkey, an excellent source of lean protein, is safe and healthy for dogs to eat. While turkey meat is safe and even nutritious for dogs to eat, the fat, skin and bones should always be removed before feeding to your dog. Dogs will best enjoy plain, unseasoned portions of turkey. Every Thanksgiving, horror stories appear of dogs suffering from pancreatitis due to a morsel of buttery, glazed, or seasoned turkey. Avoid serious health conditions by refraining from feeding your dog table scraps. Processed turkey, or processed meats of any kind, can feature harmful levels of sodium and preservatives, and is not recommended for canine consumption. Can Dogs Eat Turkey Bones? No! Turkey bones are prone to splintering, and pose huge injury risks for dogs. Cooked turkey bones should never be given to your dog as a treat or chew-toy, as they are prone to splinter and can cause a myriad of injuries, including intestinal blockages and internal bleeding. Some raw bones, however, can be enjoyed regularly as edible or recreational bones. Some can even form integral parts of a raw diet, providing excellent sources of calcium and phosphorus. Vets typically do not recommend turkey bones, raw or cooked, due to turkey’s bones thin, easy to shatter nature. 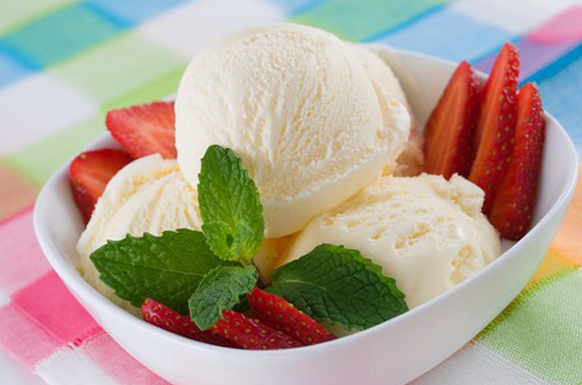 High in sugar and lactose, vanilla and ice cream can easily lead to an upset stomach and diarrhea. Full of sugar, lactose, and fat as opposed to vitamins and minerals, vanilla ice cream poses several health risks to your dog and virtually no nutrition. Milk-based products often cause gastrointestinal discomfort and diarrhea in dogs, so their consumption is not recommended. Dairy products lower in lactose content, such as cheese, may be easier for your dog to digest, as well as offer slightly more nutritional value. Some dogs, like humans, are lactose intolerant, so always proceed with caution when feeding dairy products. For other cold, sweet treats, try frozen fruits, such as blueberries or pineapple. Can Dogs Eat Walnuts? No! Walnuts are one of the most toxic food to dogs known. Some nuts, such as peanuts and cashews, are non-toxic to dogs, but many others, including walnuts, can cause gastrointestinal distress or even toxic poisoning. 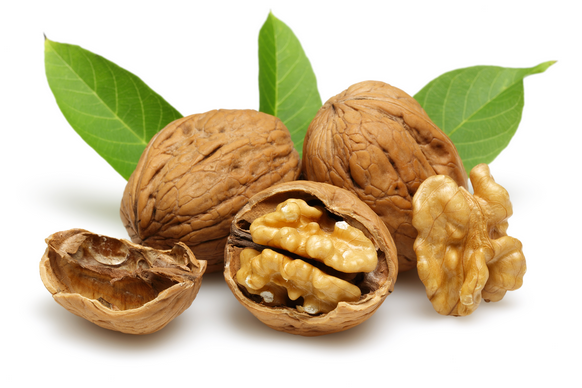 Walnut poisoning is one of the most common claims for toxic ingestion in dogs, with black walnuts and English walnuts both being toxic. Symptoms can be brought on after by a small to moderate amount of ingestion, and are as serious as seizures and neurological disorder. If you think your dog has ingested walnuts, call your vet immediately and monitor your dog for signs of walnut poisoning. Watermelon is a nutritious, sweet delicacy that can be enjoyed by dogs and humans equally. Watermelon, a summer favorite, can be shared with your furry companion without worry, and can even provide some benefits to your dog. A globally renowned health food, watermelon is extremely low in calories, yet packed with vitamins and potassium. Fresh watermelon is best served in bite size pieces with the seeds and rind removed, as an occasional treat. 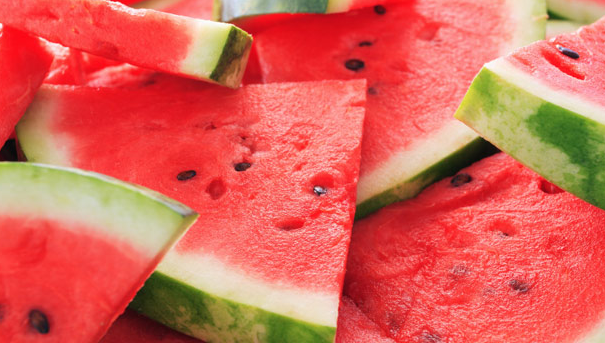 Watermelons, containing 92 percent water, can even be a good source of hydration on a hot day. Watermelons do, however, contain high levels of natural sugars, so treats should be limited to only a few pieces a day in order to avoid gastrointestinal discomfort and diarrhea. 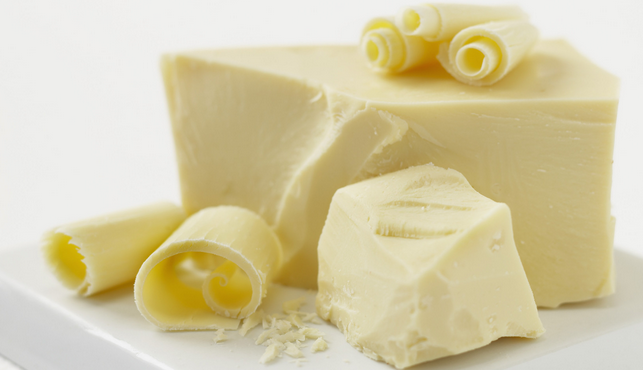 While not necessarily toxic, white chocolate does not provide any nutritional value to dogs. A favored delicacy for humans, chocolate can prove lethal to dogs. Caffeine and theobromine, ingredients abundant in chocolate, are methylxanthines that dogs are not able to process. However, theobromine and caffeine levels vary from chocolate to chocolate, and are low enough in white chocolate that dogs can eat it without receiving chocolate poisoning. Regardless, white chocolate offers minute nutritional value to dogs, and is loaded with fats, sugars and other ingredients that can impose immediate and long-term negative effects. Therefore, canine consumption of this non-toxic chocolate is still not recommended. Can Dogs Eat White Rice? Yes! White rice is safe for dogs to eat, and often used as a natural remedy to cease gastrointestinal discomfort. With grain-free diets gaining popularity, many pet owners wonder if dogs can eat the staple grain: white rice. Unless your dog has gluten or grain intolerance, white rice is an excellent carbohydrate source. White rice is a good source of fiber, low in fat, and easy for dogs to digest. 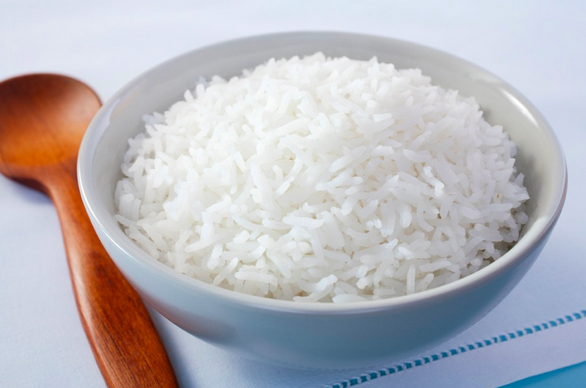 White rice also features antioxidants and minerals that assist with weight loss and healthy blood sugar levels. Rice, a bland meal, has long been used as a natural remedy in dogs to cease vomiting or diarrhea. Can Dogs Eat Yogurt? Yes! Plain yogurt is safe for dogs, and may even be used as a digestive aid. Yogurt, a household favorite low-calorie snack, is completely safe to share with your dog if it wants some, as well. Some dogs, like humans, are lactose intolerant, so proceed with caution when feeding yogurt to your dog. 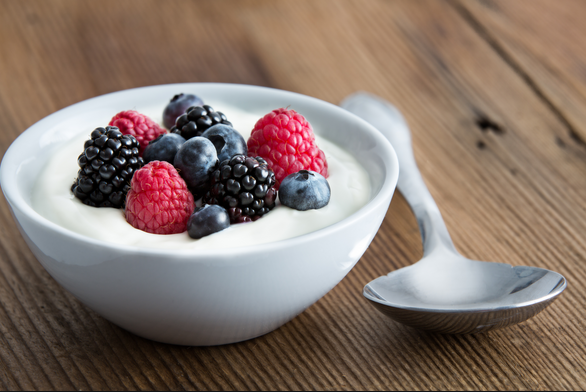 Yogurt is often used as a digestive aid due to its probiotic properties. However, research suggests that dogs often digest probiotics before they can have any effect, and may require probiotics specifically engineered for canines. When sharing with your dog, opt for plain, low fat yogurts without artificial sweeteners. A spoonful or two a day is plenty for most dogs. Can Dogs Eat Zucchini? Yes! Zucchini are non-toxic to dogs, and can make for a nutritious treat. Zucchini is listed as safe for canine consumption by the ASPCA, and can be readily utilized as a nutritious substitute for unhealthy prepackaged dog treats. Low in calories, saturated fat, cholesterol and sodium, zucchini poses little to no health risks to dogs. In fact, its impressive lineup of vitamins and minerals has been hailed for their anti-inflammatory properties, among other benefits. 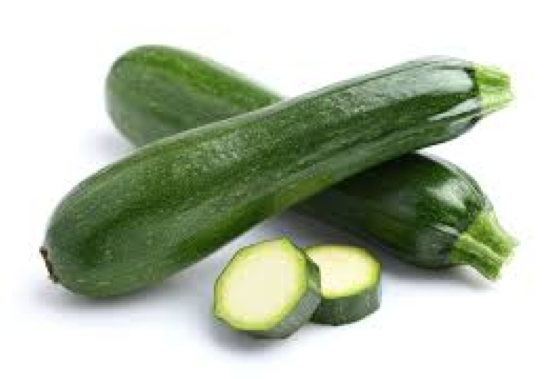 Zucchinis are typically lightly cooked before feeding to dogs, in order to assist with chewing and digestion. The vegetable is best served plain, and in moderation, as an occasional treat or nutrient supplement.